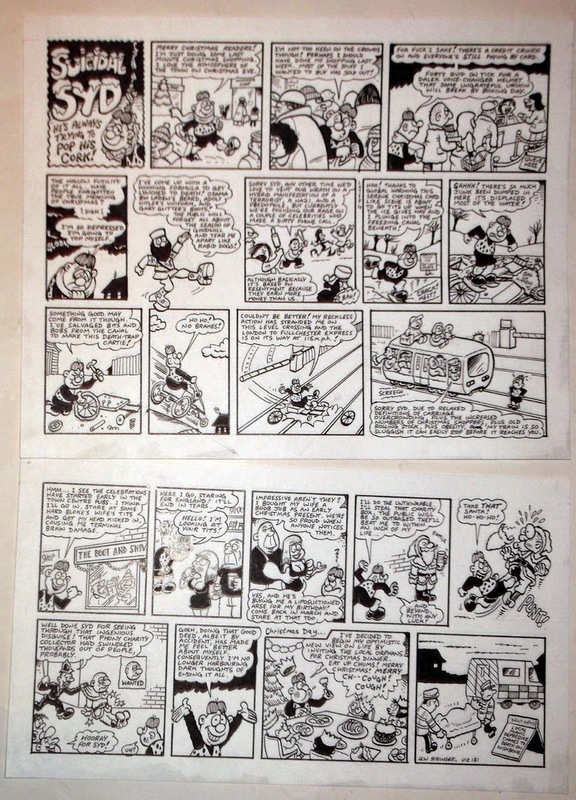 Following on from the previous post about The Banana Bunch, here are a few more pages by Leo Baxendale that appeared in the (undated) Beezer Book that was published in 1963. 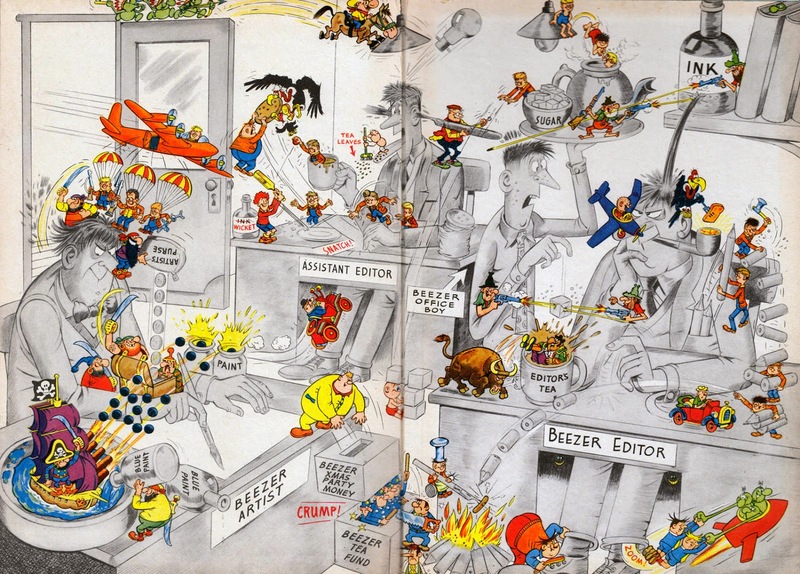 Above are the superb endpapers from the book, with the characters creating chaos in the Beezer office. It's interesting to see Leo's versions of other artist's characters here. 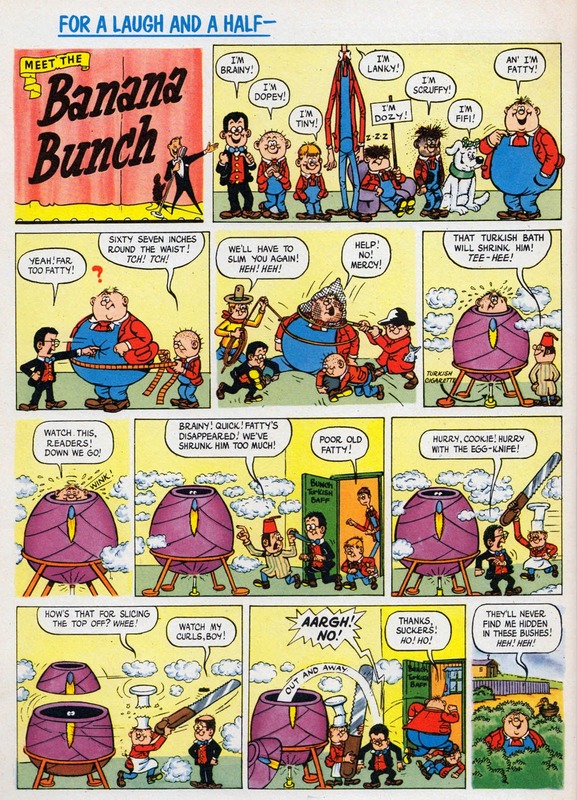 The Banana Bunch began in The Beezer No.1 way back in 1956 and proved popular enough to continue throughout the comic's run until 1993. 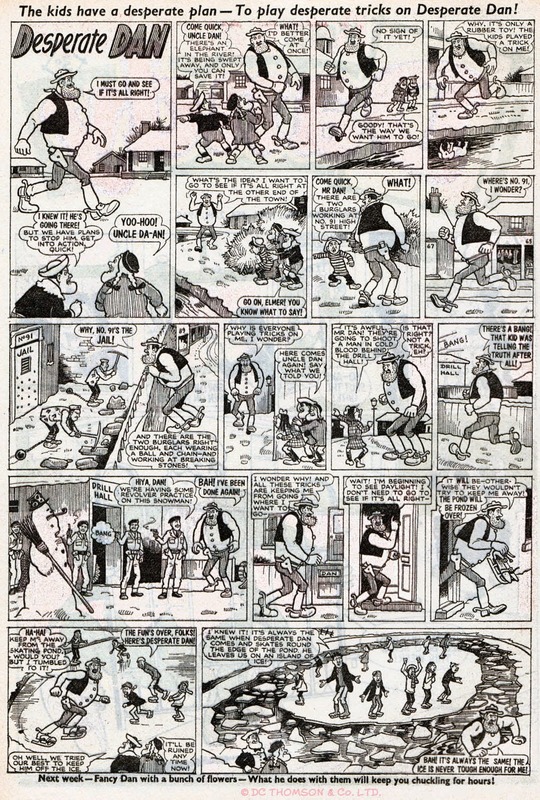 The strip has been revived a few times since by various artists and was last seen in The Dandy in 2012 drawn by Nigel Parkinson. 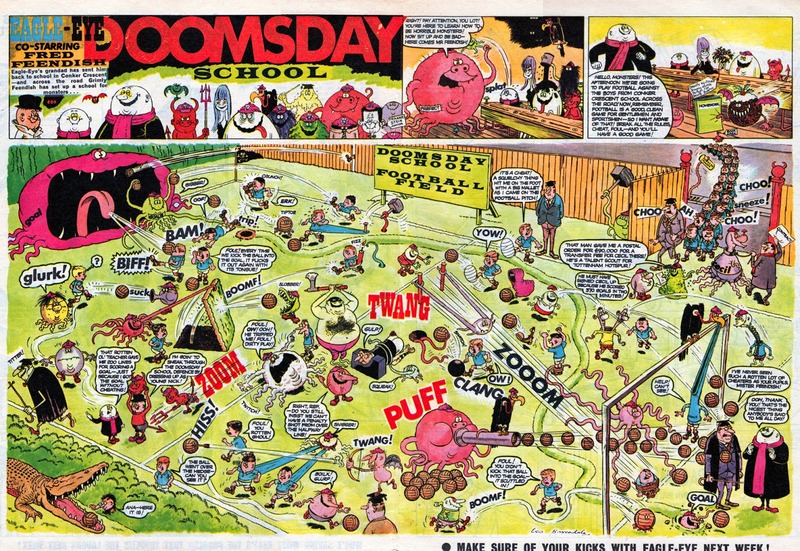 Most of us will probably have grown up with the version drawn by the excellent Bert Hill, but the original artist was Leo Baxendale, who drew it from issue 1 in 1956 until No.438 in 1964. 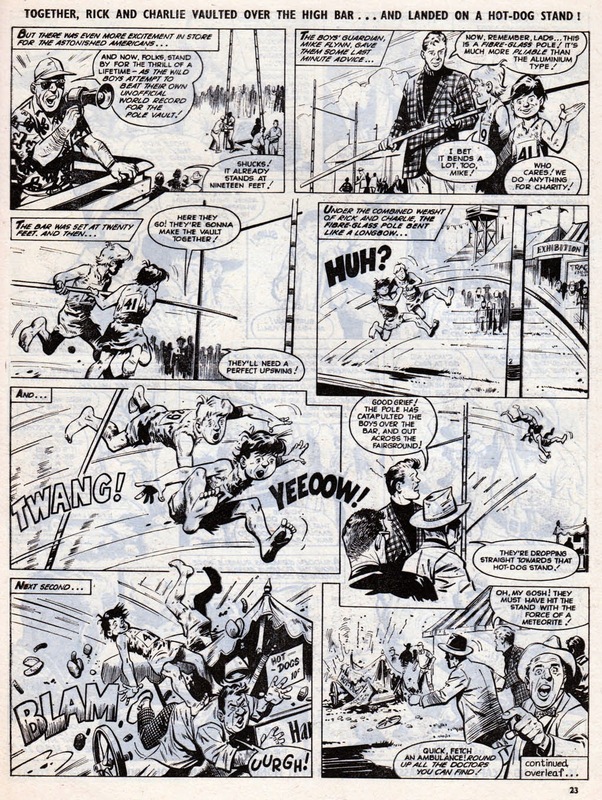 Here's a few examples of Leo's brilliance with the huge full page above from The Beezer No.295 (September 9th 1961). 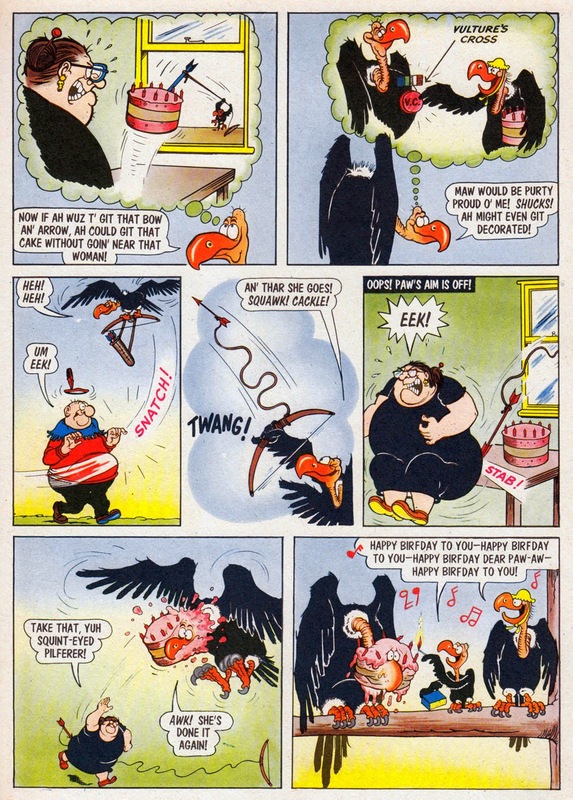 Finally a couple of full colour pages from The Beezer Book 1964 (published in 1963). 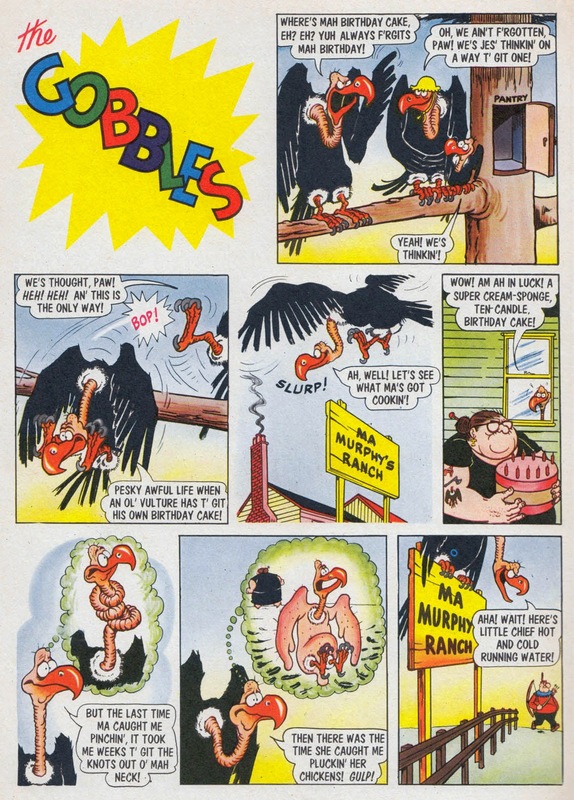 Truly funny stuff and some of the best material to have appeared in British humour comics. As always, click on the pages to see them much larger. 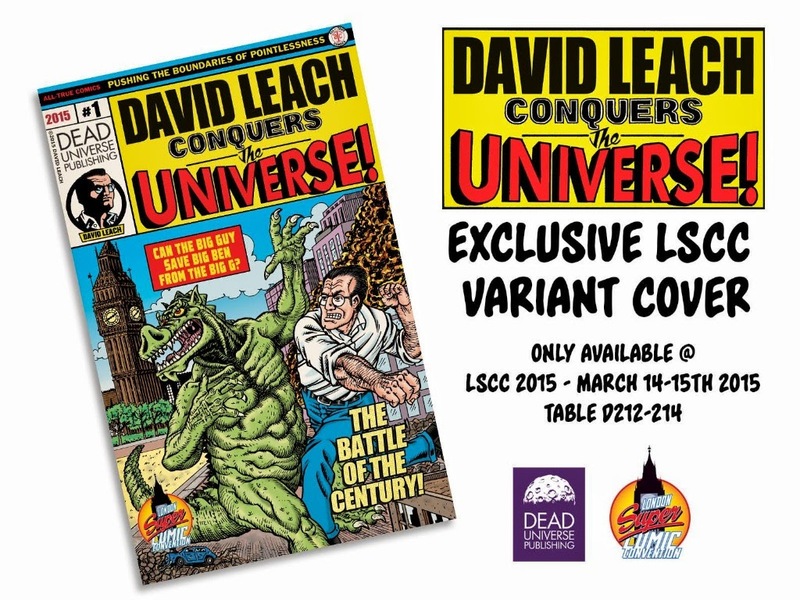 David Leach Conquers the Universe, the comic written and drawn by artist/editor David Leach gets a special variant cover for the London Super Comic Convention on March 14th and 15th. 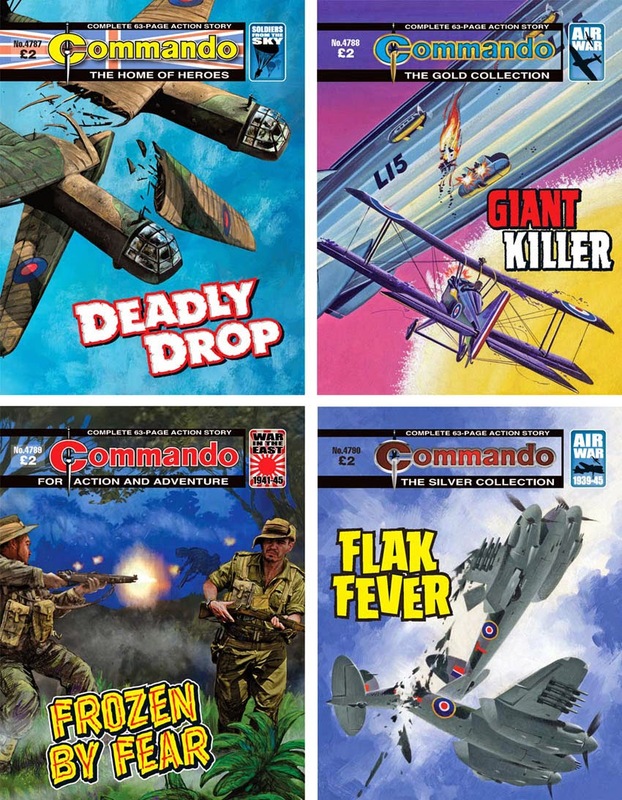 Publisher Dead Universe Comics are re-releasing six of their titles, each with an exclusive London landmark-themed variant cover. These exclusive editions will only be on sale at the convention. David is currently working on issue 2. Something to look forward to! 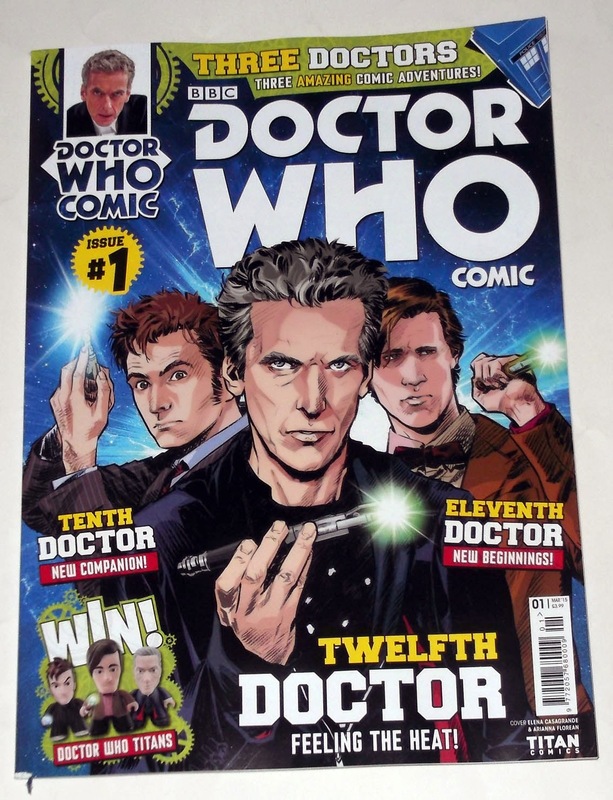 The new Doctor Who Comic is here! 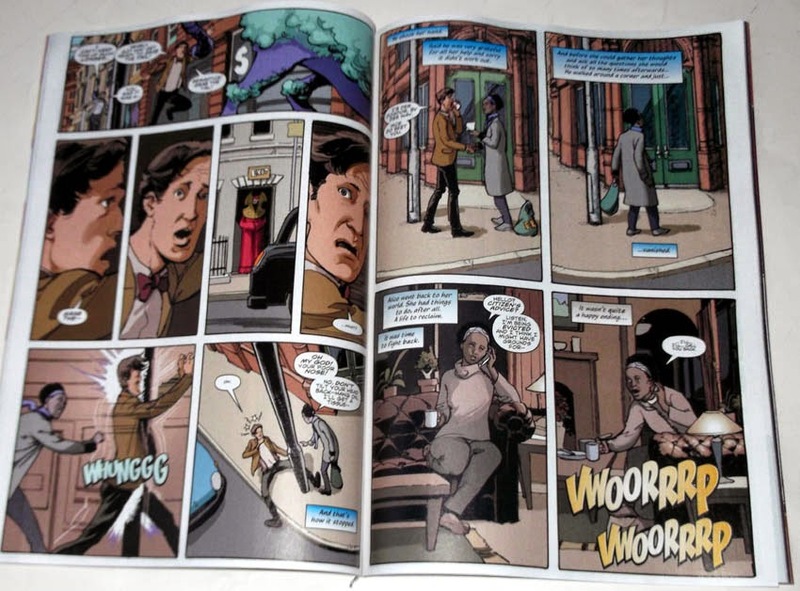 Today saw the launch of Titan's new Doctor Who Comic in UK newsagents (although so far I've only seen it in WH Smith). 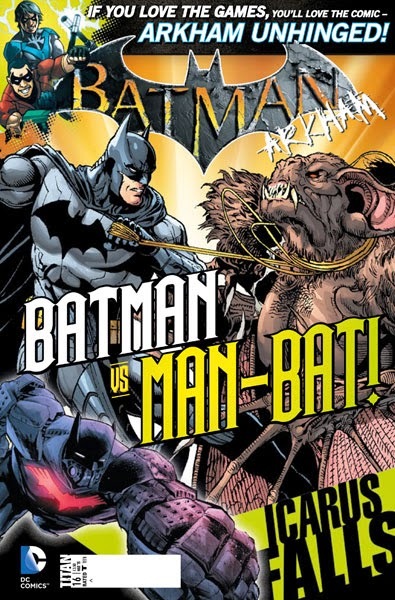 I was surprised to see that the format is A4, rather than the US format of the Titan and Panini comics. 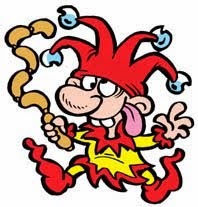 Also, Smiths are displaying it in the young children's comics section with The Beano, Dora the Explorer, Angry Birds Magazine etc rather than alongside Doctor Who Magazine, 2000AD, and the aforementioned other Titan and Panini comics. 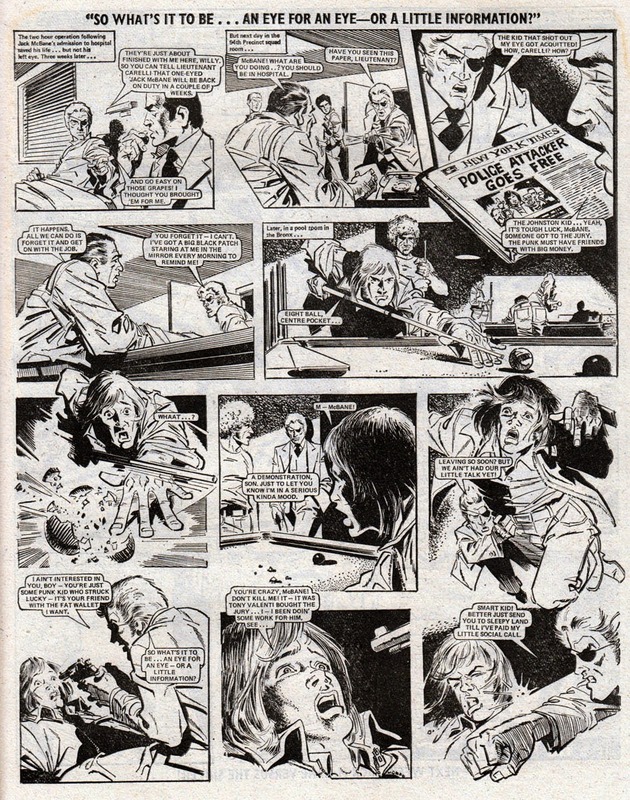 I can't help feeling its intended age group may pass it by as Doctor Who Comic is aimed at a more sophisticated reader than the juvenile titles it's sharing its shelves with but presumably Titan have good reasons for doing it. 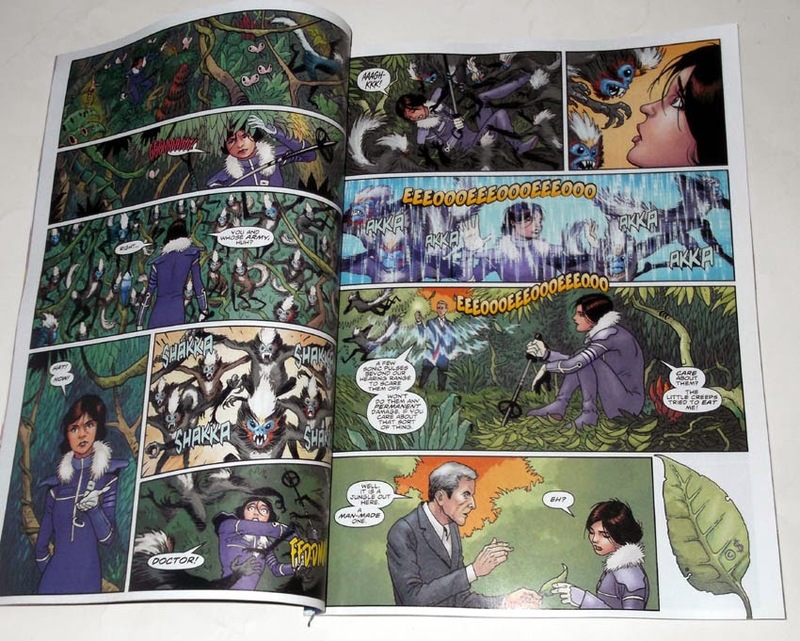 The comic itself is a squarebound 84 page publication with exactly the same paper quality that Titan's CLiNT comic had. 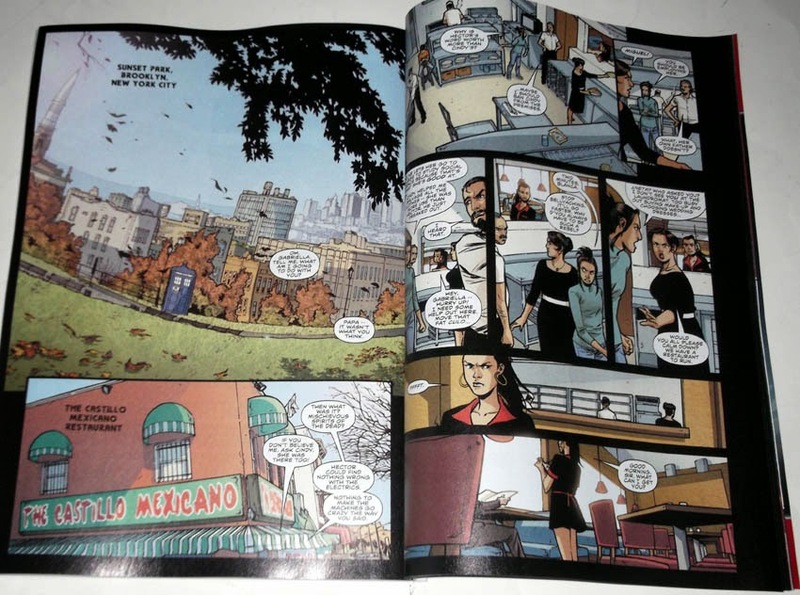 The content repackages the first issues of the recent individual Doctor Who comics that are sold in specialist comic shops. So we get long episodes featuring the 12th Doctor by Robbie Morrison and Dave Taylor, the 11th Doctor by Al Ewing, Rob Williams and Simon Fraser, and the 10th Doctor by Nick Abadzis and Elena Casagrande. Excellent value for £3.99 considering each story would cost around £3.00 each in its original format. 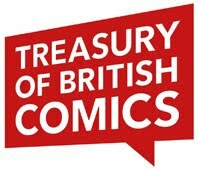 These are top quality stories by top people in the comics industry, most of whom are based in the UK. 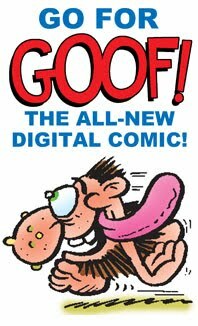 I'm reluctant to call this publication a 'reprint comic' in the same way that, say, The Mighty World of Marvel is because the strips have only very recently appeared in their original format a few months ago, also by the same publisher. I'd rather consider this a 'British edition' than a reprint, in the same way that books have editions in different countries. 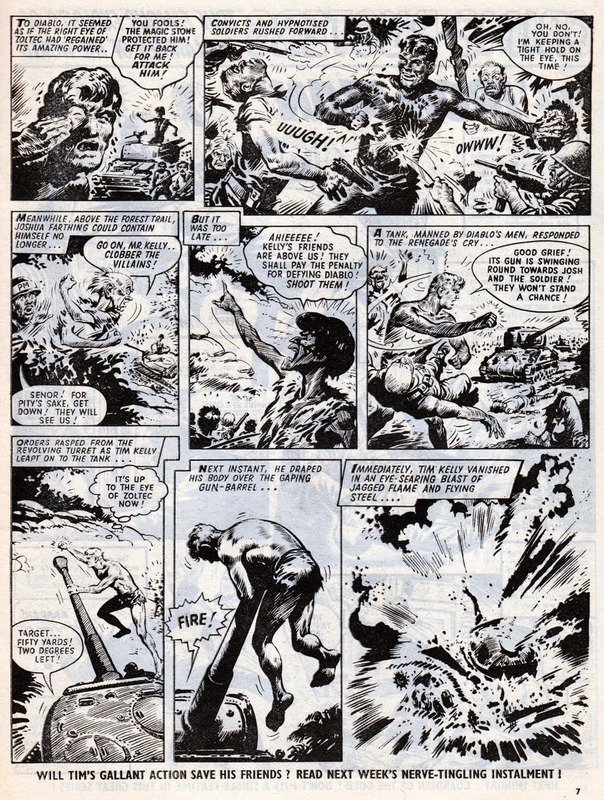 But I suppose most will still regard it as a reprint comic so each to their own of course. 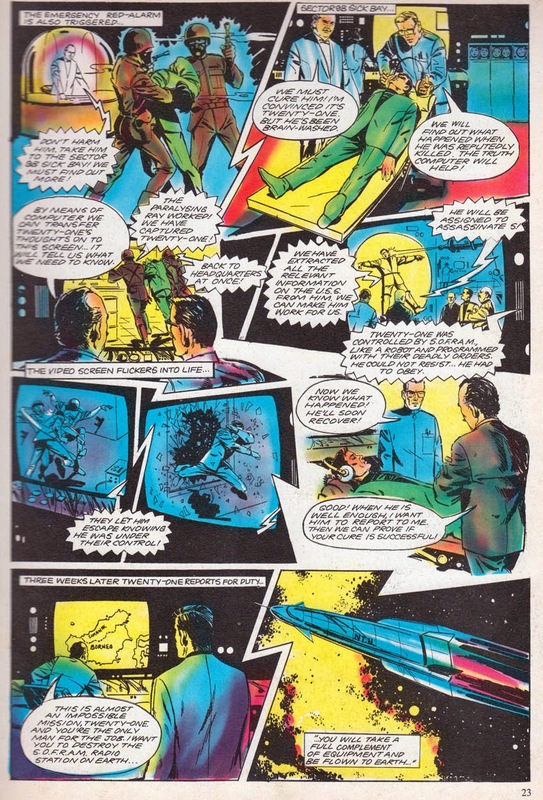 By the way, to correct an assumption a few have made, this new comic does not replace Doctor Who Magazine or Doctor Who Adventures, nor does it feature the same strips. They're three different publications by three different publishers. 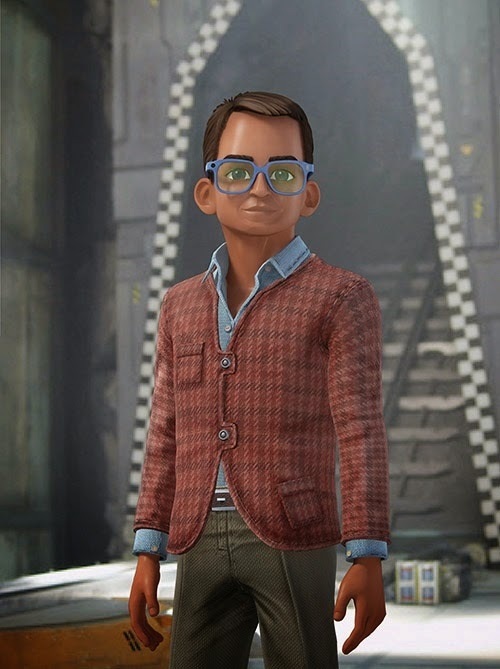 ITV have today revealed images for how Lady Penelope, Parker, and Brains will look in the brand new Thunderbirds Are Go series that begins on CiTV in April. It's quite a makeover for Penelope but her old style was very 1960s so change was inevitable. Parker remains distinctly Parker, albeit in a new outfit. 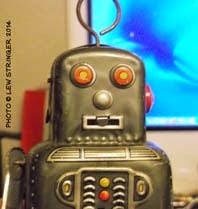 A more radical change for Brains as he's no longer white. No doubt there'll be cries of "Political Correctness gone mad" from some corners but I can't see why it'd be a problem myself. We live in a multicultural Britain and it's good that the new series is reflecting that. 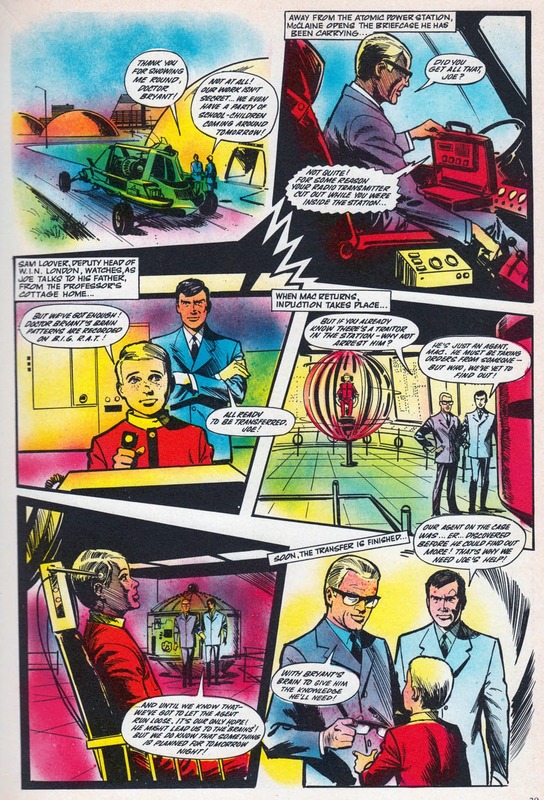 Lady Penelope is voiced by Oscar-nominated Rosamund Pike while David Graham reprises his role as Parker. Brains is voiced by Kayvan Novak. ITV report that Sylvia Anderson (who voiced the original Lady Penelope) will voice a new character in one episode as Penny's Great Aunt Sylvia. 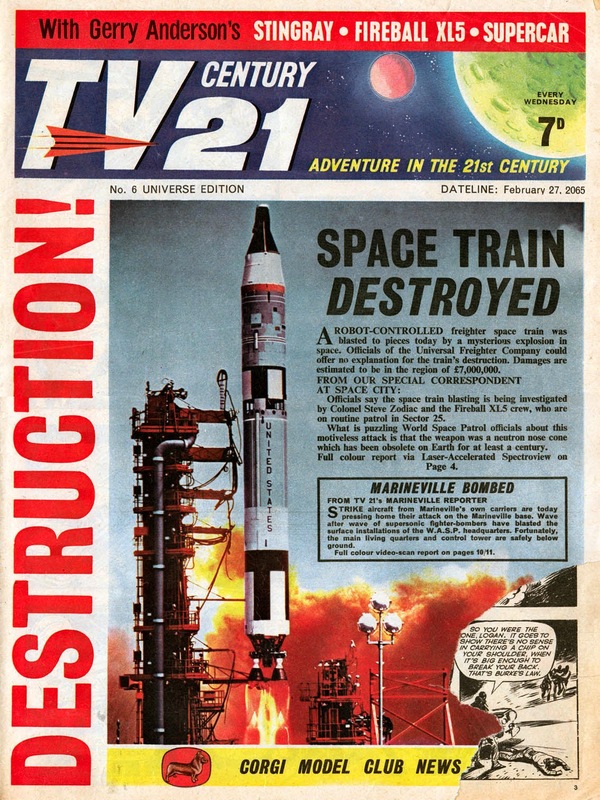 A regular Thunderbirds Are Go magazine will be published by DC Thomson this year. After a “friendly fire” incident cost the lives of his comrades, Private Ron Allan clashed violently with a fellow paratrooper, Corporal Alec Brown, the man he held responsible. Tensions were still high between them when, en route to a drop zone, history repeated itself. Alec’s Horsa glider smashed into Ron’s sending both spiralling downwards. 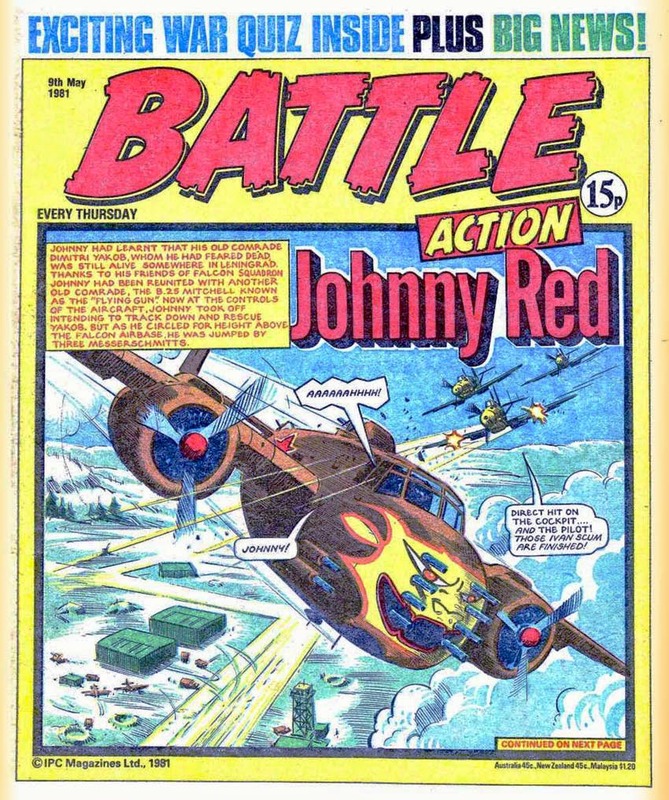 It had to be settled in World War II by their sons; sleek Spitfire pitted against merciless Messerschmitt 109, their guns chattering a song of death. Don’t be fooled by Ken Barr’s cover — this is not a First World War tale. That zeppelin that only just fits on the cover is soon replaced by a Bf109; the SE5 becoming a Spitfire. 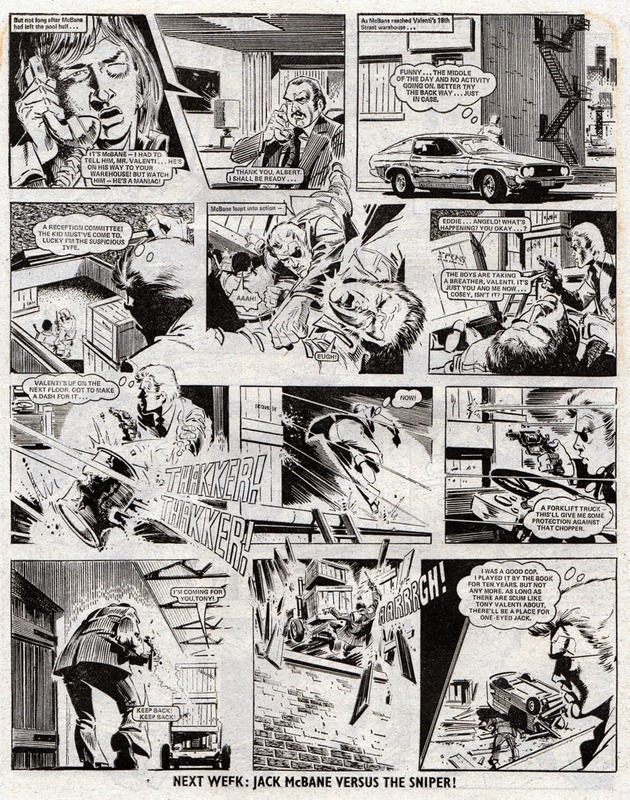 With Peter Ford in charge of the inside art, that means you’re in for a treat as his flying scenes are so well-rendered. 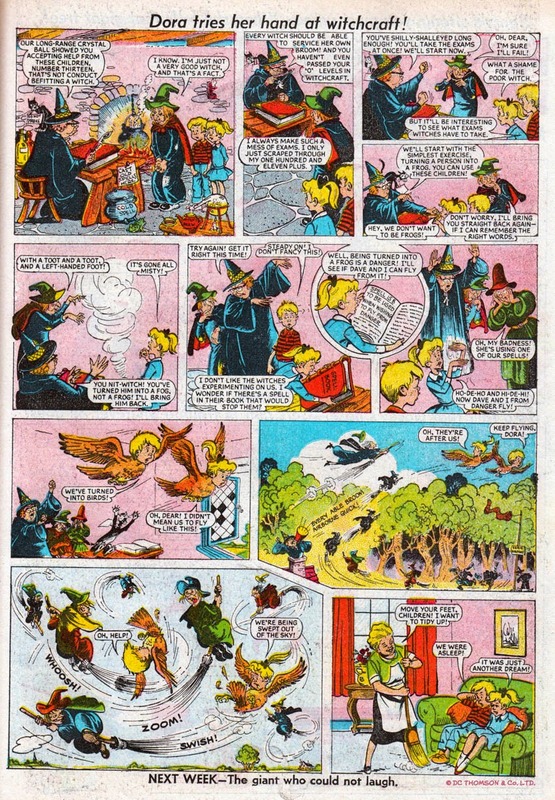 His ground scenes are just as good and those of you with good eyesight (or magnifying glasses) may just be able to make out some little extra details in the backgrounds of the scenes. Check out the walls of the crew room and perhaps the notepad on the ground controller’s desk. 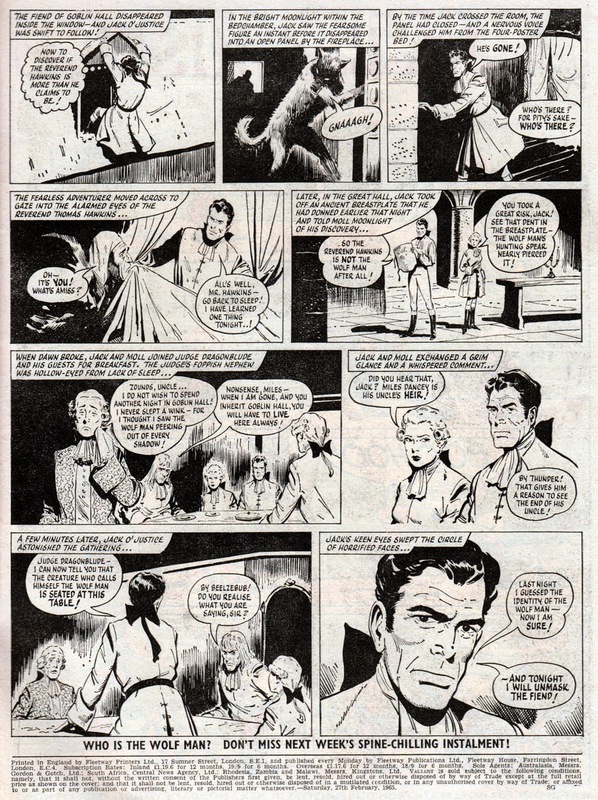 Better not forget Brunt’s “sins of the fathers” script, without which none of this showmanship would be possible. Thank you, sir. Most jungle firefights are fought over short range and are over in a few minutes. Vision is limited and snap shots at targets are the order of the day. Australian Army Corporal Jerry Warner was caught up in one such skirmish. With night falling and his life in jeopardy, he blazed away, knocking down attacker after attacker. Then he was blown unconscious by a mortar blast. He survived but that night continued to haunt him — and he couldn’t work out why! Flieger Abwehr Kanone — a German mouthful that was shortened to “flak”, a word dreaded by every Allied pilot. It meant anti-aircraft guns, those multi-barrelled cannon and deadly 88-millimetre guns that could blast attackers out of the sky. Every important target in Nazi Europe bristled with them. Mosquito pilot Terry Franklin had met his fair share of flak and it terrified him. 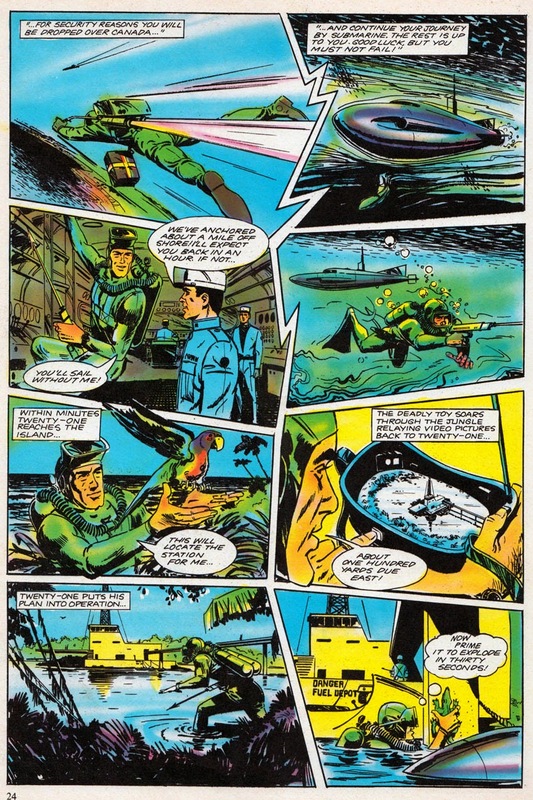 Yet here he was in a new squadron whose job it was to attack only the most difficult targets! 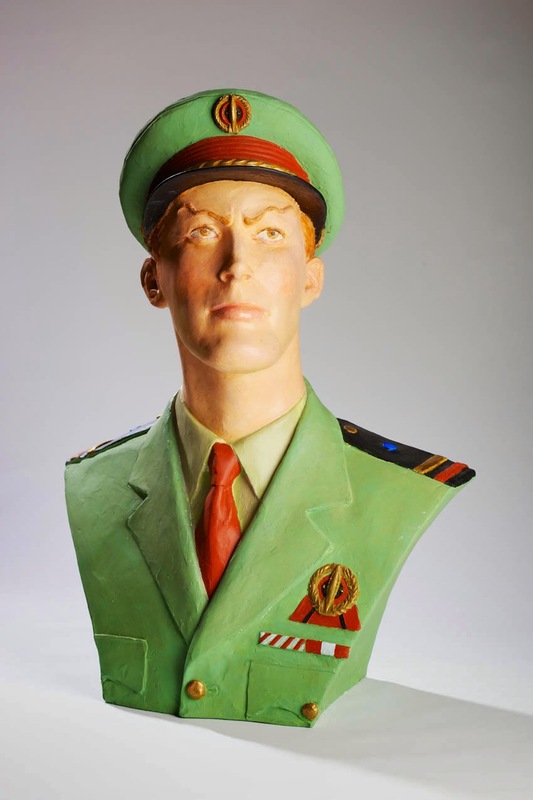 Because of our modern-day familiarity with military terms such as the one mentioned above, we now know that Post Traumatic Stress Disorder is a serious condition which Armed Forces personnel acknowledge could happen to any one of them. 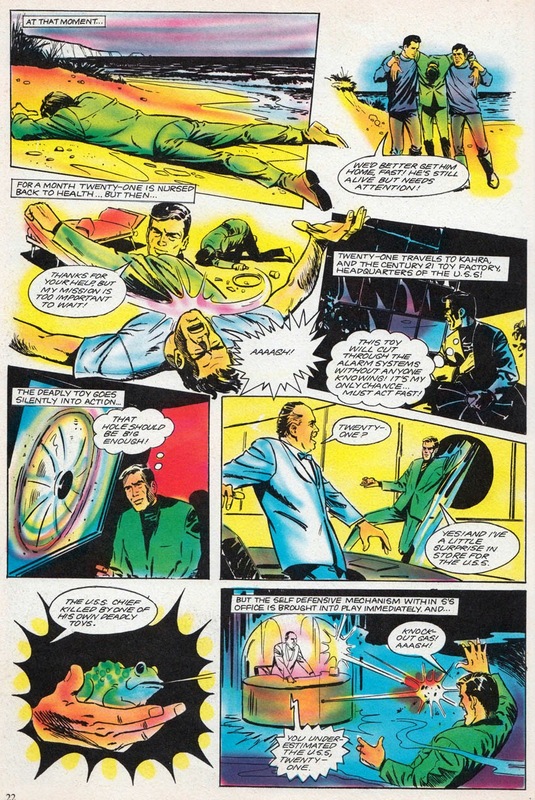 However, back when this story was originally scripted, in the mid-1970s, the fictional hero believes that he has simply lost his nerve, and that his own perceived “cowardice” is something that he must hide. It’s an interesting story point, but it is not laboured, and seems all the more realistic for it. 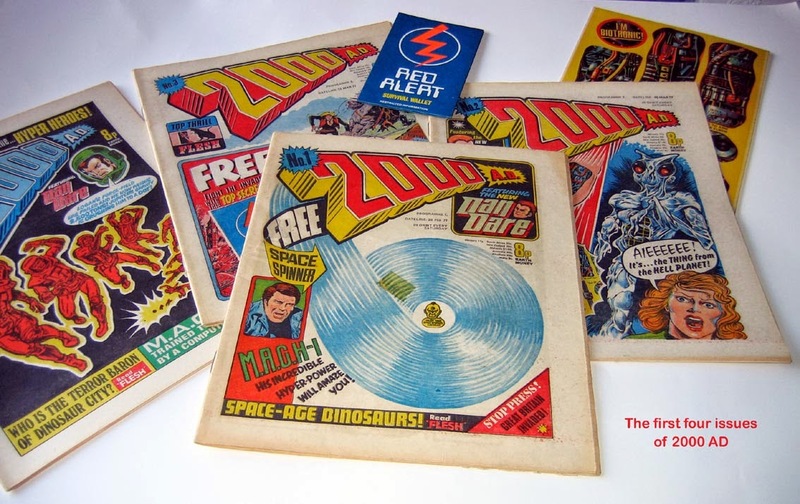 2000AD is celebrating its 38th birthday today. 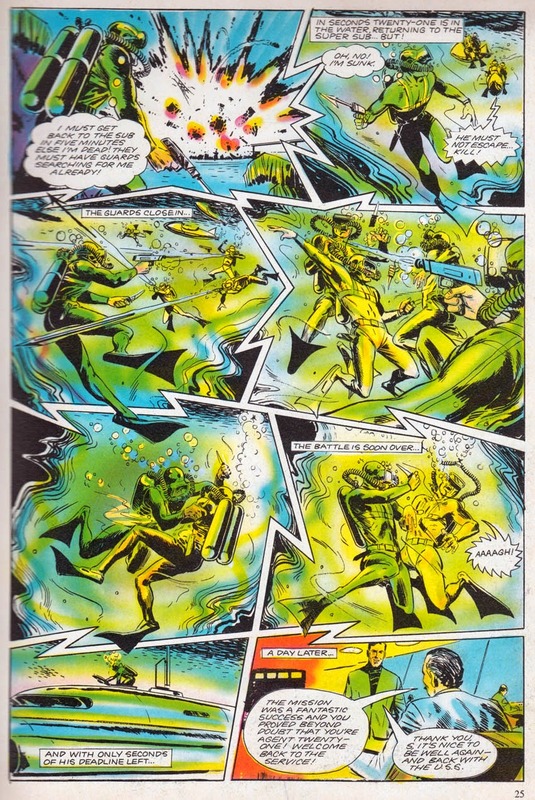 An amazing achievement for any comic and, equally as remarkable, that it has kept an incredibly high standard of scripts and artwork throughout all those years. 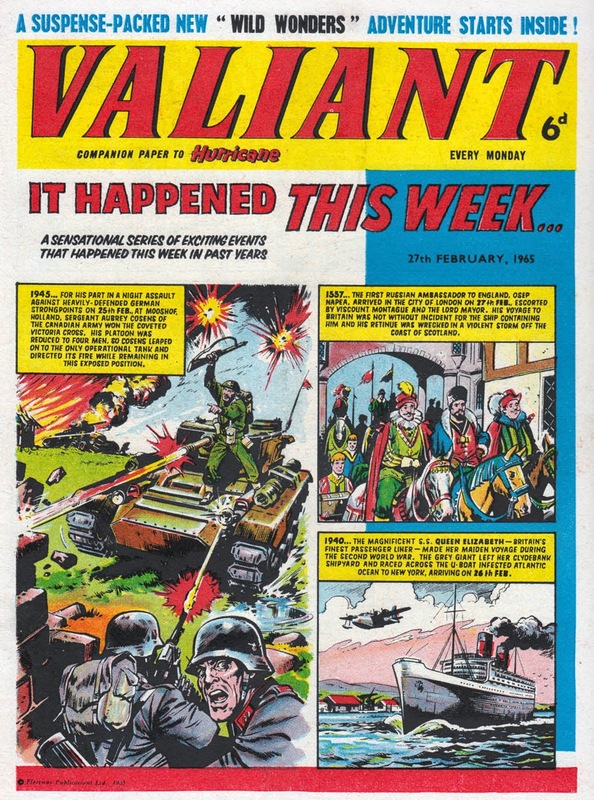 To be strictly accurate the anniversary itself was actually last week. 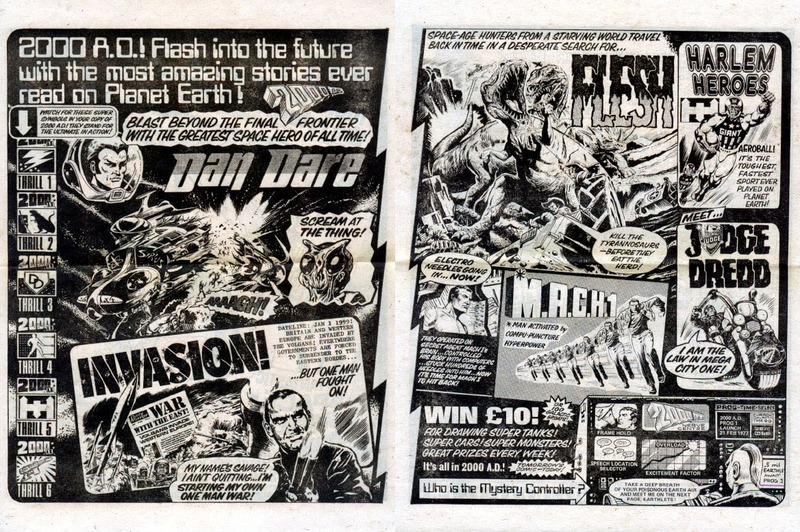 2000AD No.1 was published on Saturday 19th February 1977, although its official on-sale date was Monday 21st February. 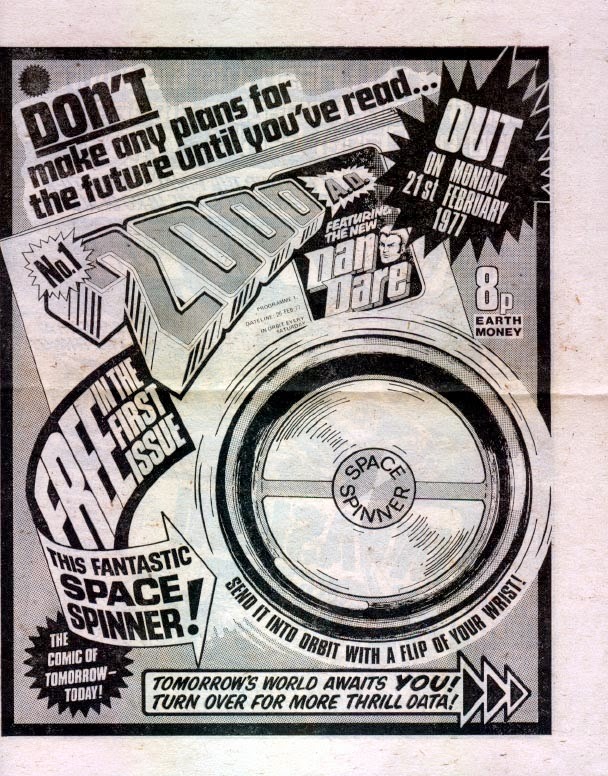 Back in 1977, the cover date on 2000AD was the following Saturday not the day it was published. 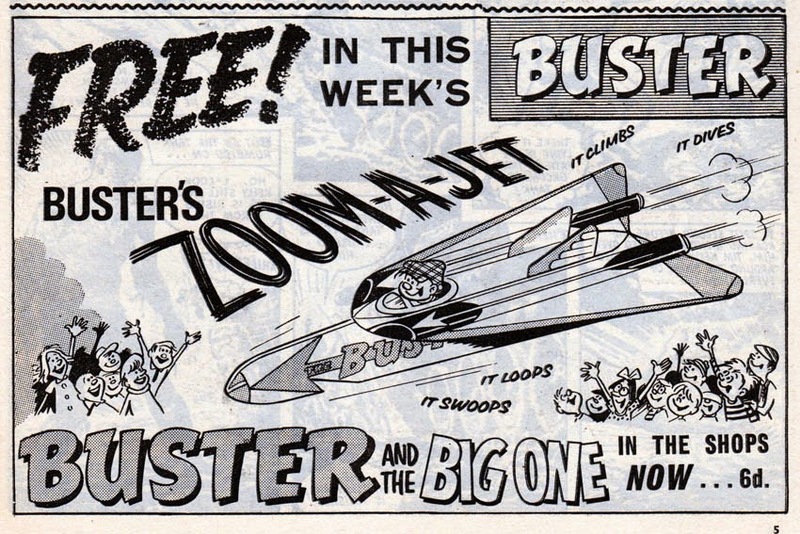 This applied to all weekly comics in those days. 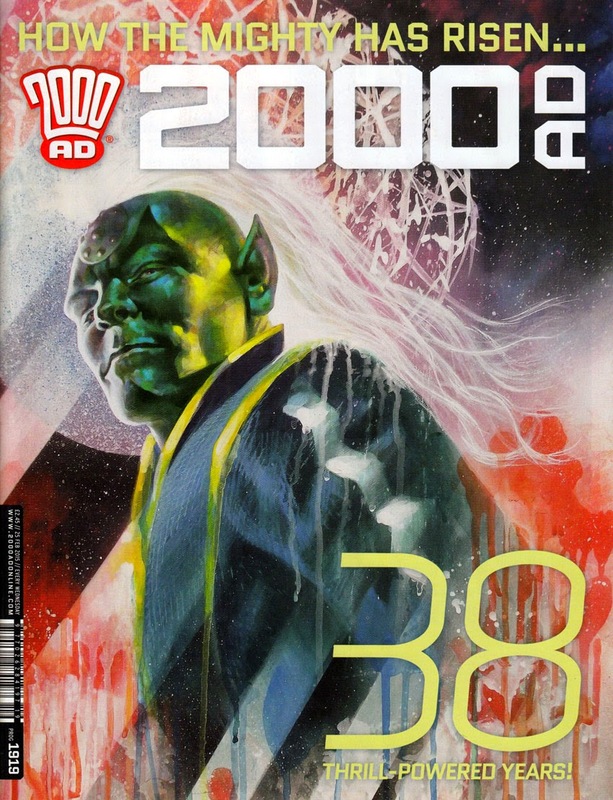 In more recent years, 2000AD began using the actual day of publication as the cover date so perhaps someone at Rebellion simply didn't realize they'd been celebrating the wrong day for a good few years now. 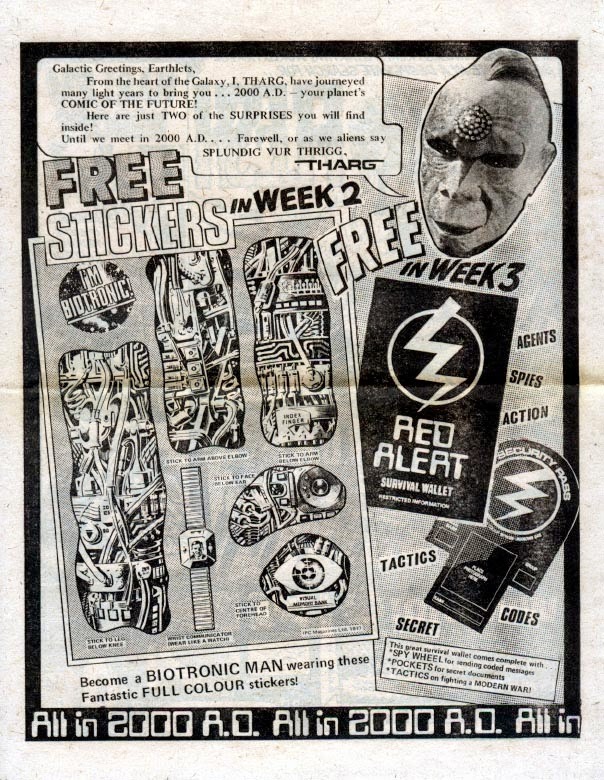 After all, there probably aren't many of us original readers who are still buying the comic nearly four decades later. 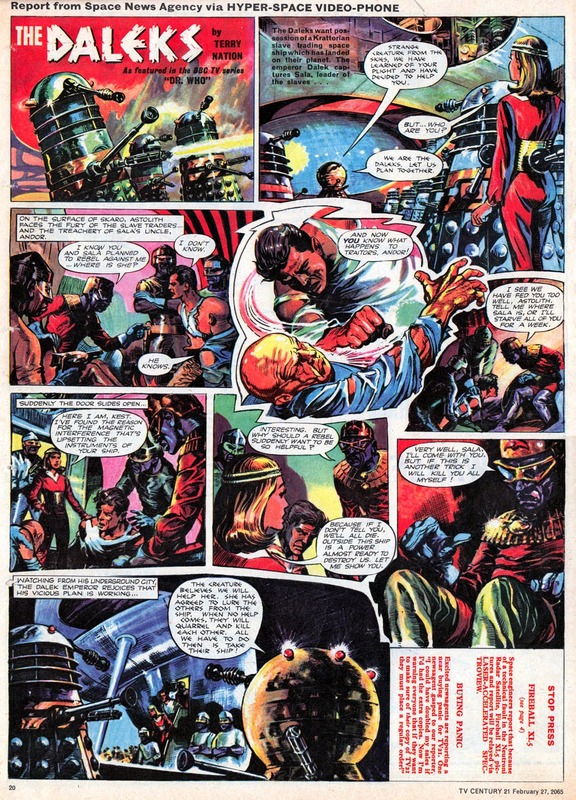 So, Happy 38 Years And One Week Anniversary to the Galaxy's Greatest Comic! 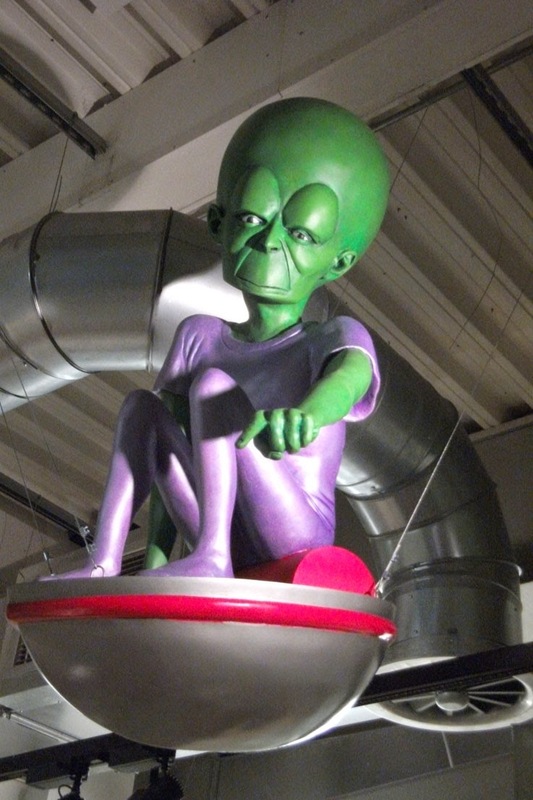 This imposing metre tall fibreglass Mekon peers down at visitors to a new local history museum in Southport. 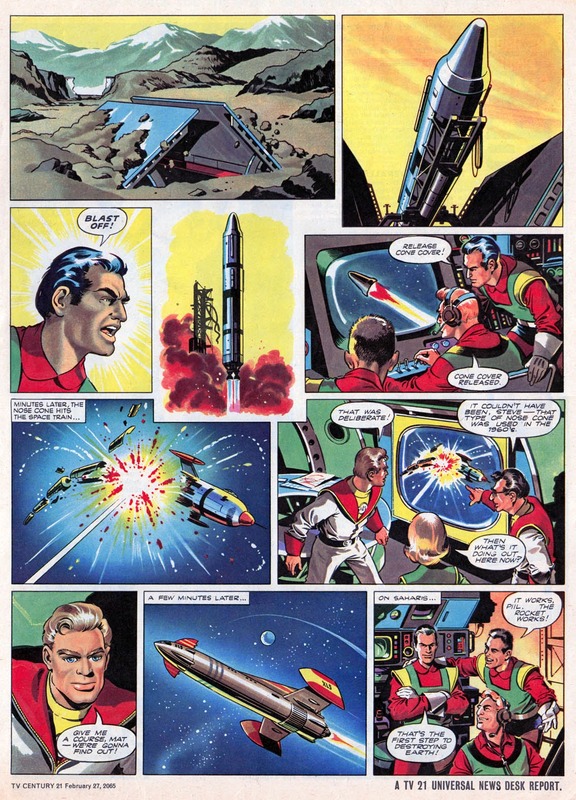 The Mekon and his nemesis Dan Dare were of course created in the Merseyside seaside town by artist Frank Hampson. The new permanent exhibition at The Atkinson celebrates Hampson and his work alongside other local notable figures, including Frank Hornby, the inventor of Meccano, Dinky toys and Hornby model trains. 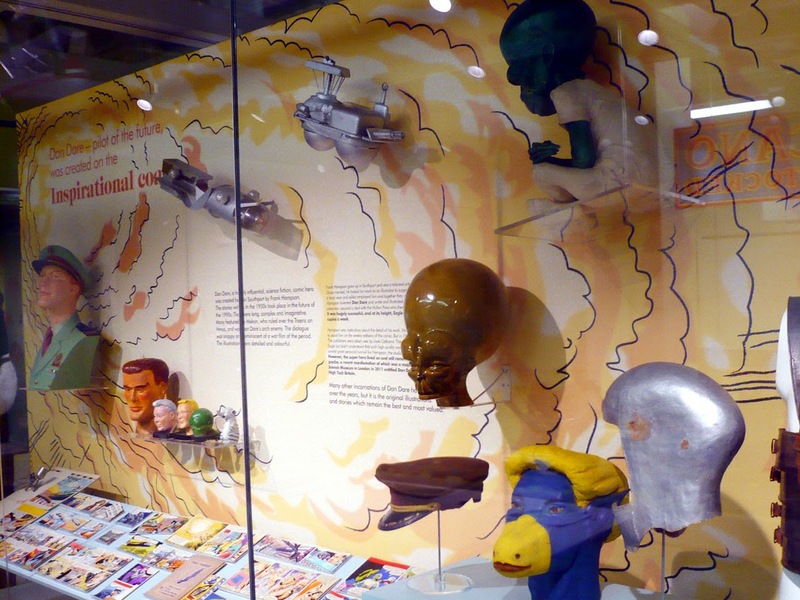 Memorabilia on display includes artists’ models of some of the main character heads, including a large colour bust of Dan Dare. 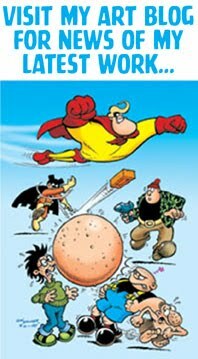 The models were used by the artists when they were drawing the cartoon so that they could accurately draw the heads from all angles. Other artists’ models on permanent loan to the museum number a space ship and a Mars space station. 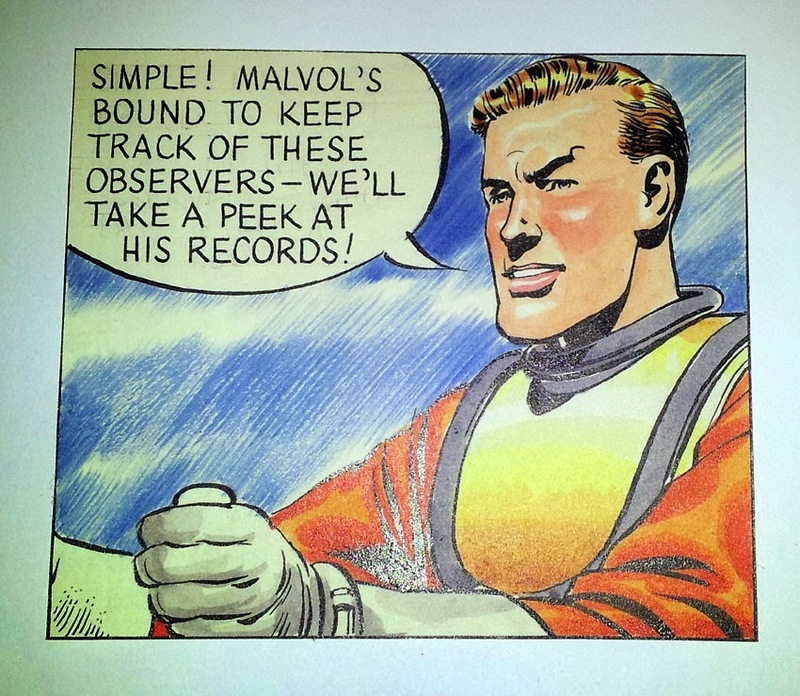 Much original artwork is on show, alongside Dan Dare merchandise from the 50s and 60s and an Eagle artists’ spraygun. 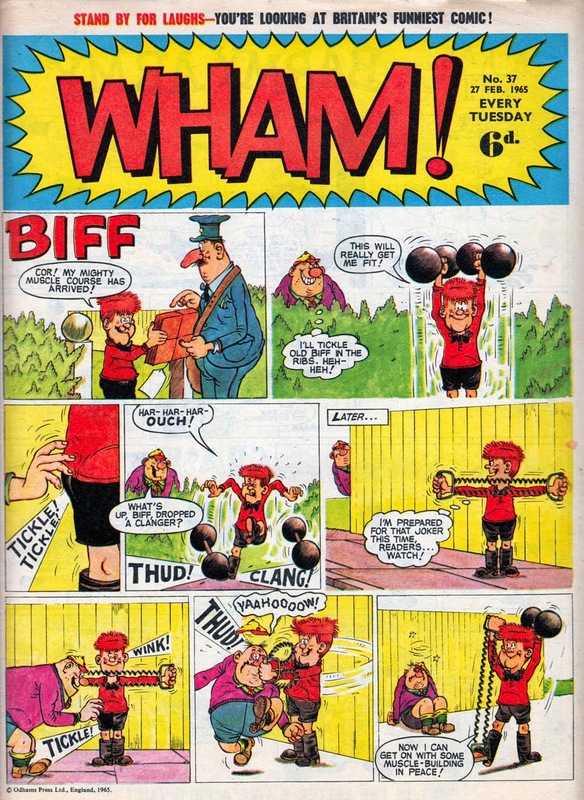 Peter Hampson, son of Frank said: “The idea to produce a new sort of comic for boys was the brain child of Marcus Morris, an Oxford-educated vicar with a parish in Southport. 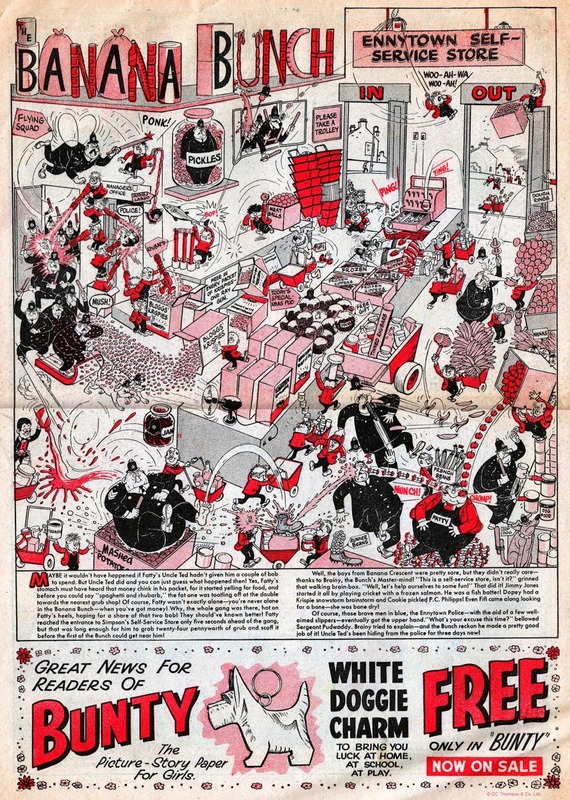 “Morris deplored the influx of cheaply produced American 'horror comics' with their crude and senseless violence, and he wanted to combat their influence with a high quality strip cartoon publication, promoting wholesome, Christian values. 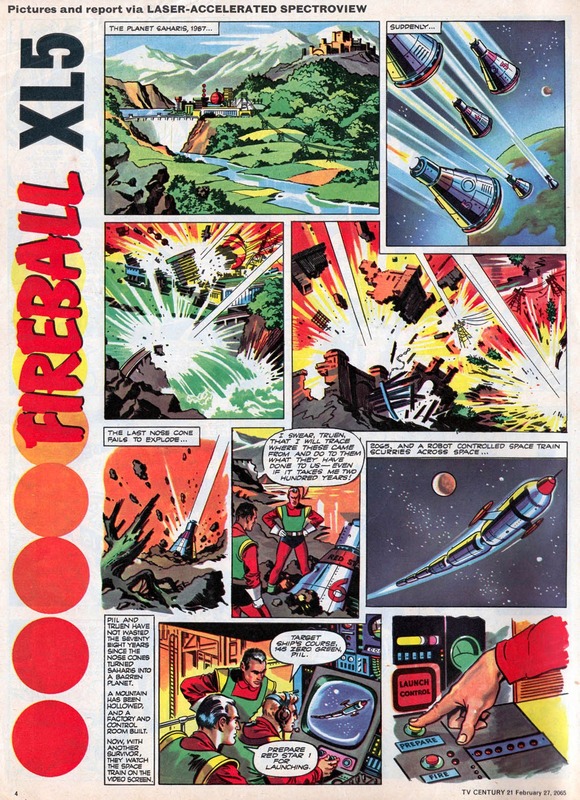 “But that his great idea was ever realised - and with a brilliance that must surely have exceeded his wildest expectations - was due entirely to the creative genius of Frank Hampson. My father always stated that the title, story, drawings and inventions were all his and that my mother christened the new publication Eagle. “Production began in 1950 in a studio set up in a ramshackle old bakery in Churchtown, near Southport and my father set about assembling a team of artists: Joan Porter, Greta Tomlinson, Harold Johns, Jocelyn Thomas and Bruce Cornwell. 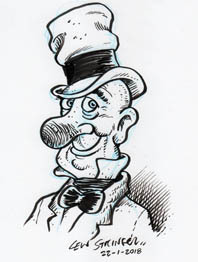 I've just heard via editor John Freeman that veteran comics artist John Cooper has passed away after a short illness. 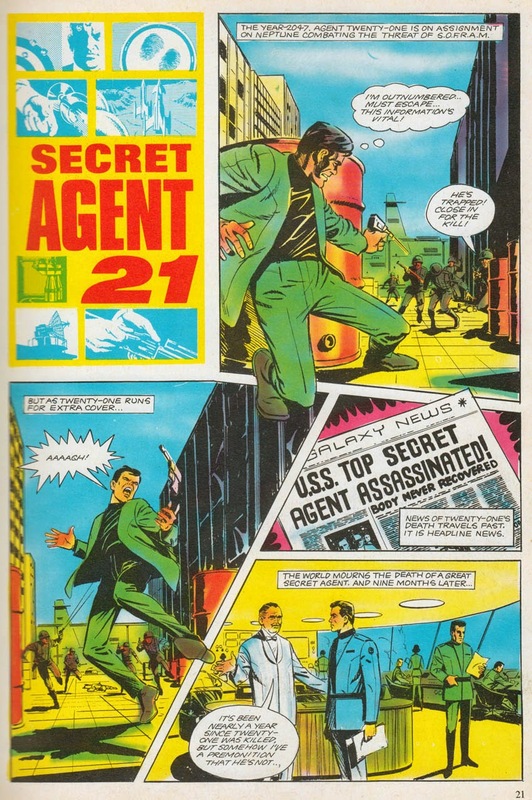 Born in 1942, John's first adventure comic strip was drawing a Special Agent 21 story for the TV21 Annual published in 1968. (Source: An interview by Terry Hooper at this link.) 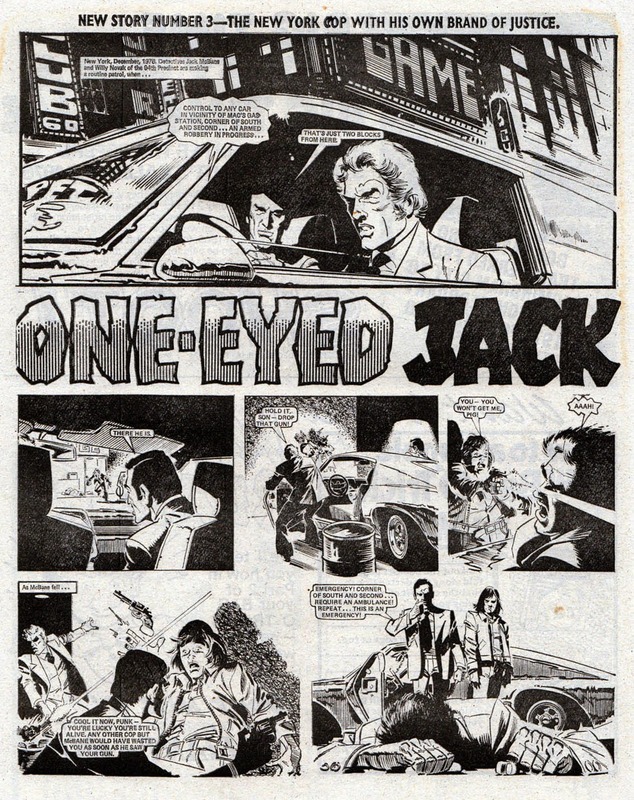 His long career saw him illustrating numerous strips for many comics over the years including several Judge Dredd stories for 2000AD but he's probably best remembered for One Eyed Jack in Valiant in 1975 and taking over the Johnny Red strip in Battle - a strip which he made his own. 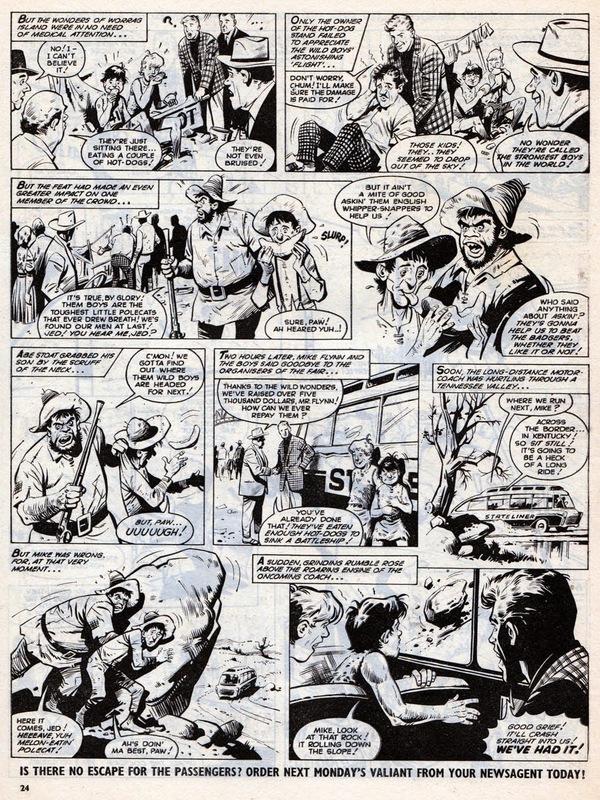 John's work was also seen outside of comics, such as illustrating scenes for TV news stories. 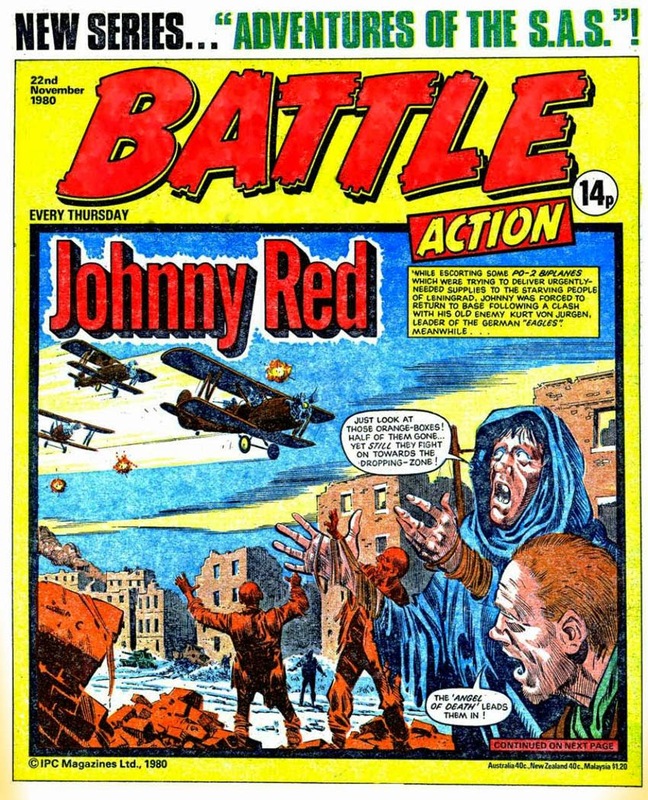 John's work must have been seen by millions who grew up on boys comics from the late 1960s to the end of the 20th Century and his dynamic layouts and action-packed style brought a lot of pleasure to those readers. 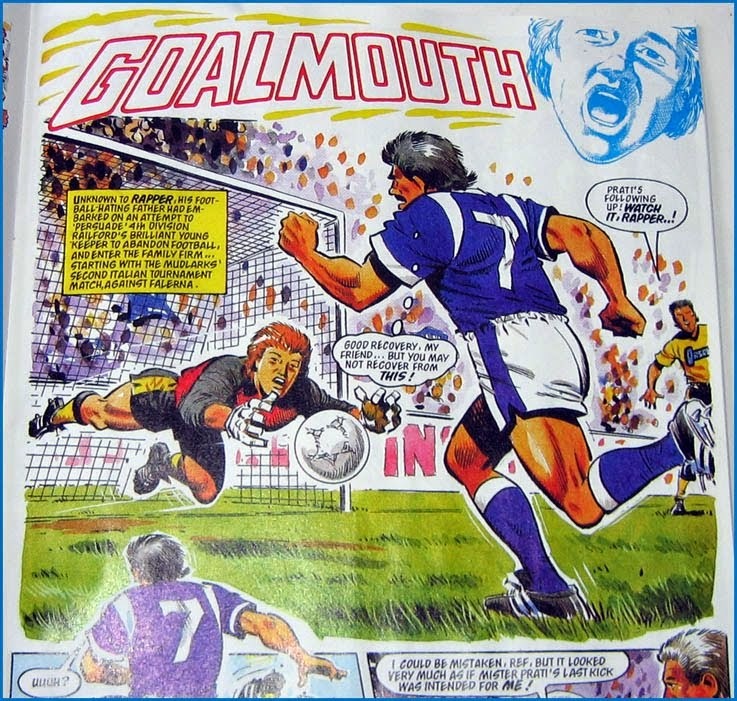 I only met John once, briefly at a convention in Norway years ago, but the easy going Yorkshireman was good company. My sincere condolences to his family and friends on their sad loss. I'm selling a few items on eBay again this week. 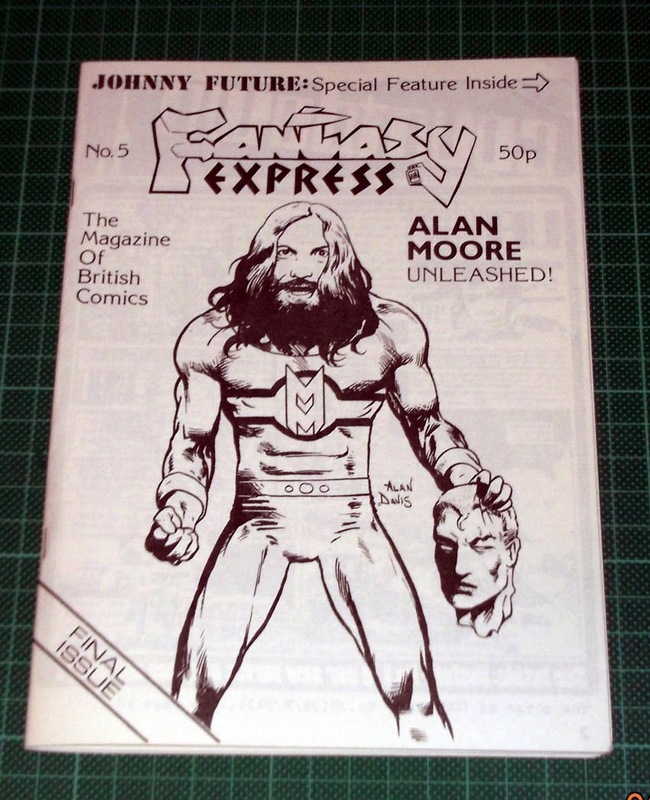 Something that may interest fans of Alan Moore is a copy of Fantasy Express No.5, a fanzine I published in 1983. 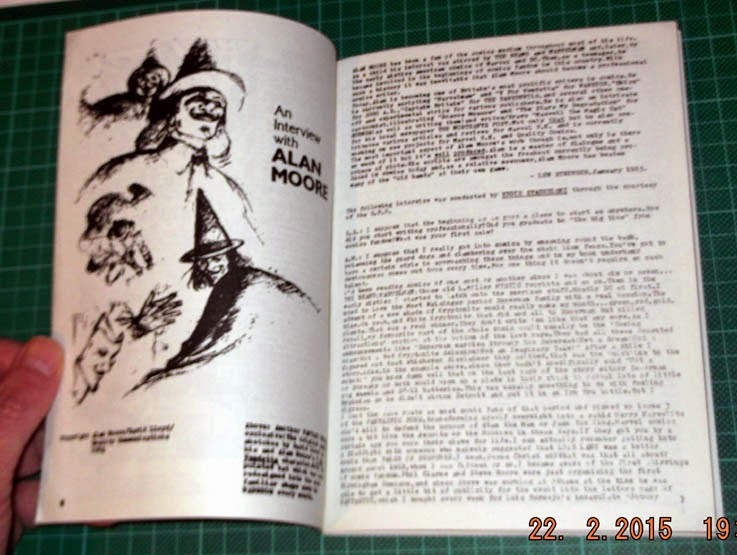 This issue features one of the first (if not the first) interviews published with Alan, and runs to 12 pages. 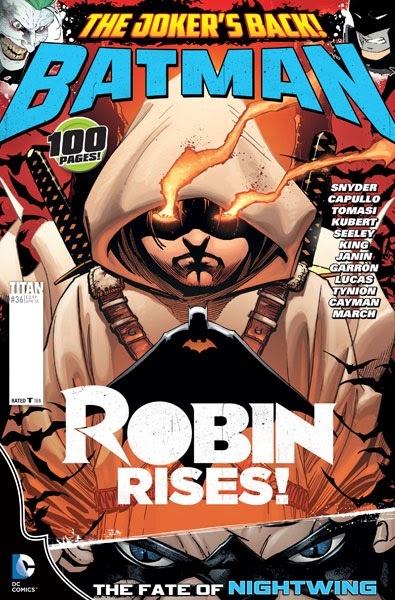 Plus Alan Davis drew an exclusive cover for the issue. 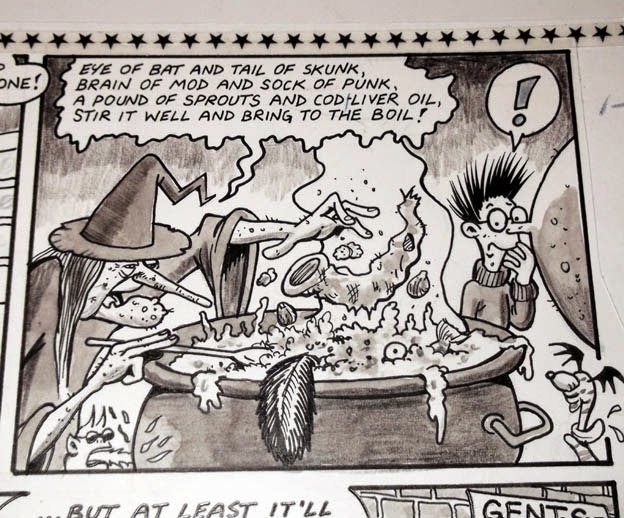 The 'zine itself has 36 pages in total and is unread and in excellent condition. All bids are very much appreciated. The auction ends on Sunday 1st March. Good luck! 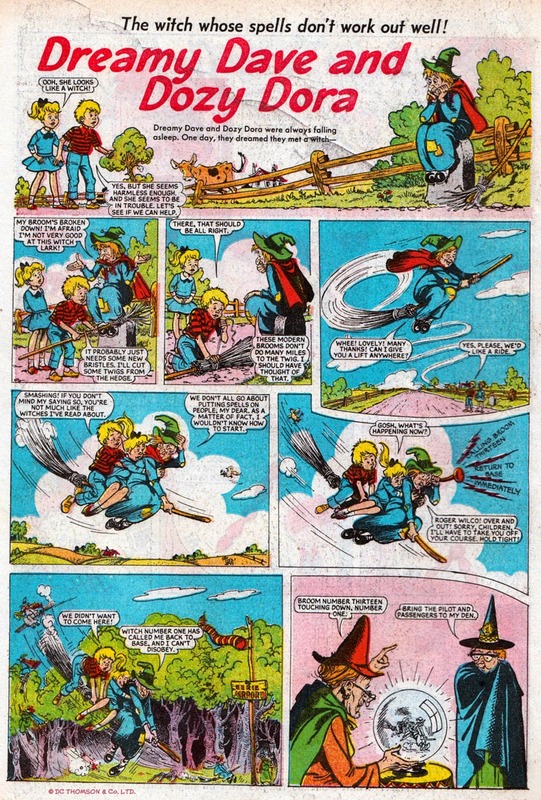 In 1969 Top Sellers launched Super DC as a monthly which ran for 14 issues and an annual. (See here.) 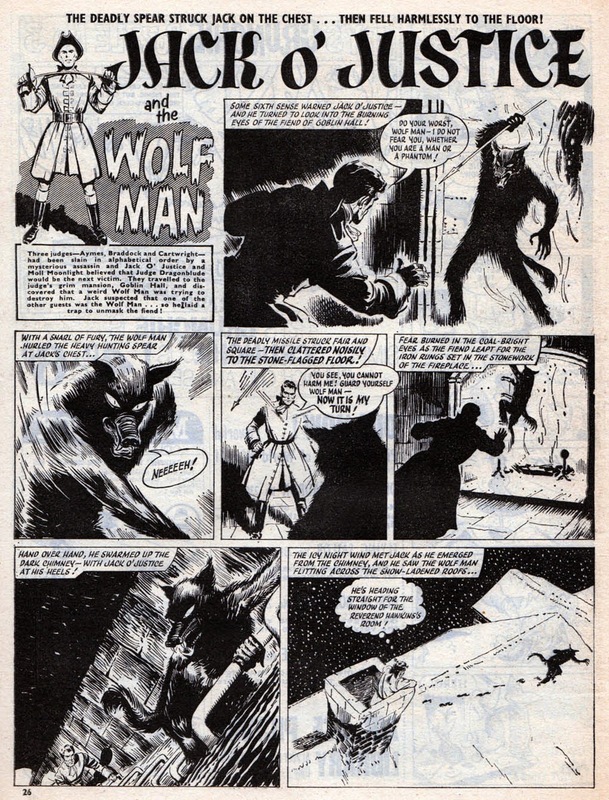 In the 1980s there was The Super-Heroes monthly, and various UK editions of Batman, Superman and others. 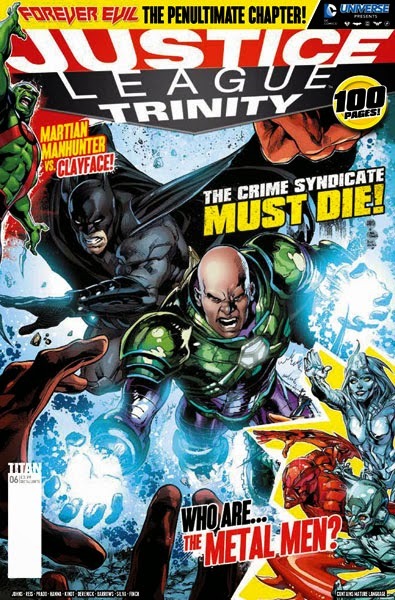 These days it's Titan Comics who have the license to publish British editions of DC material, and they currently have four titles: Batman, Batman: Arkham (both published every four weeks), Batman/Superman and DC Universe Presents/Justice League Trinity, which appear every 8 weeks. 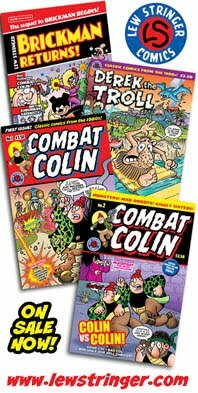 These comics follow the Panini format of US-sized comics with 76 pages (occasionally 100 pages), full colour throughout, with card covers. 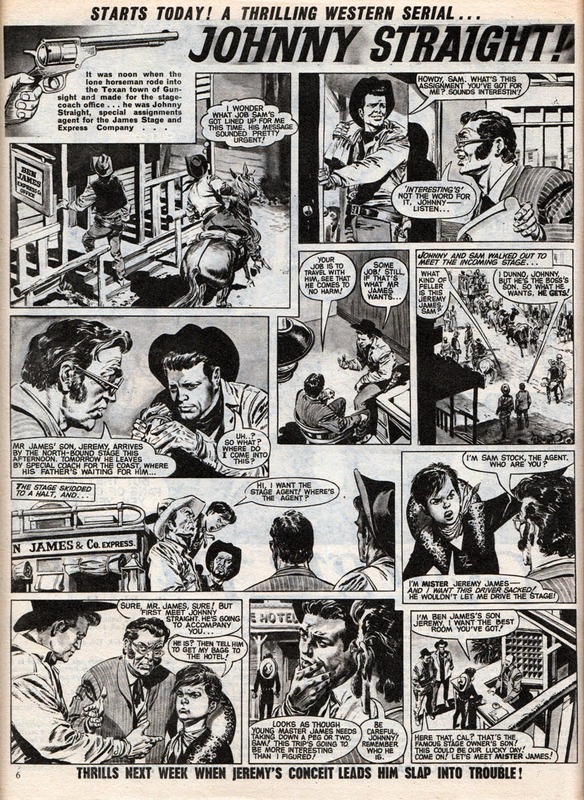 Each issue reprints three American comics for £3.50. My thanks to Titan Magazines for sending the cover images. 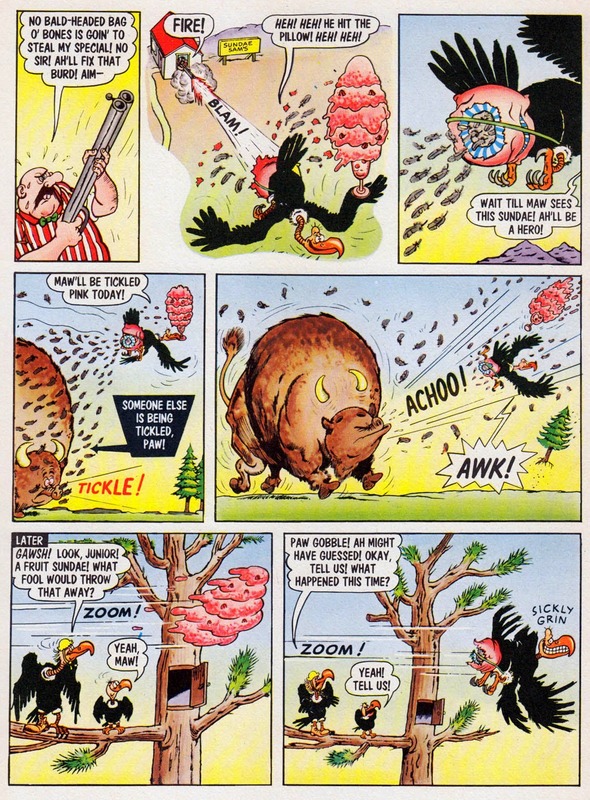 I haven't done one of these for a while, where I look back at several comics from years ago that were published in the same week. Above is my photo of how a newsagents counter may have looked this week exactly 50 years ago when all of these issues were on sale! 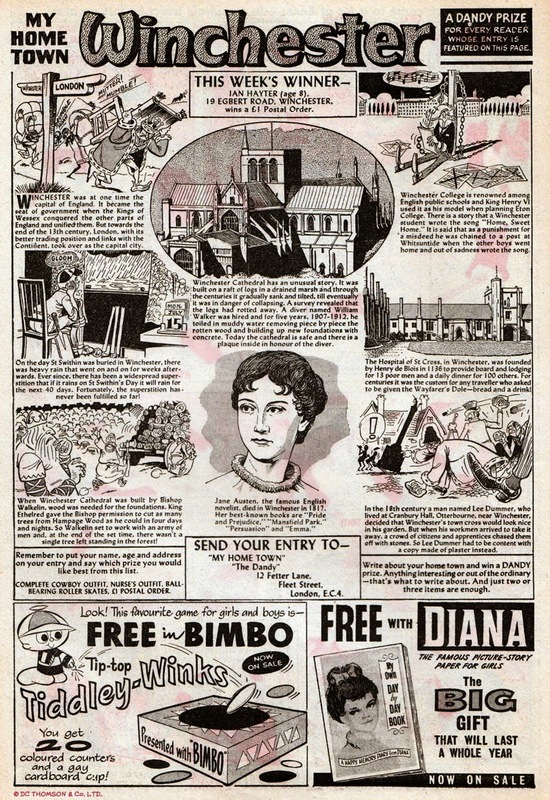 Half a Century ago! 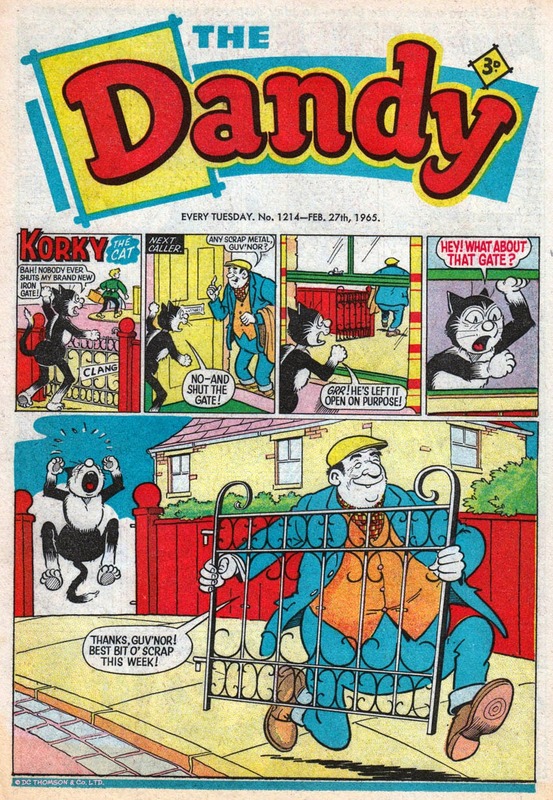 Blimey! 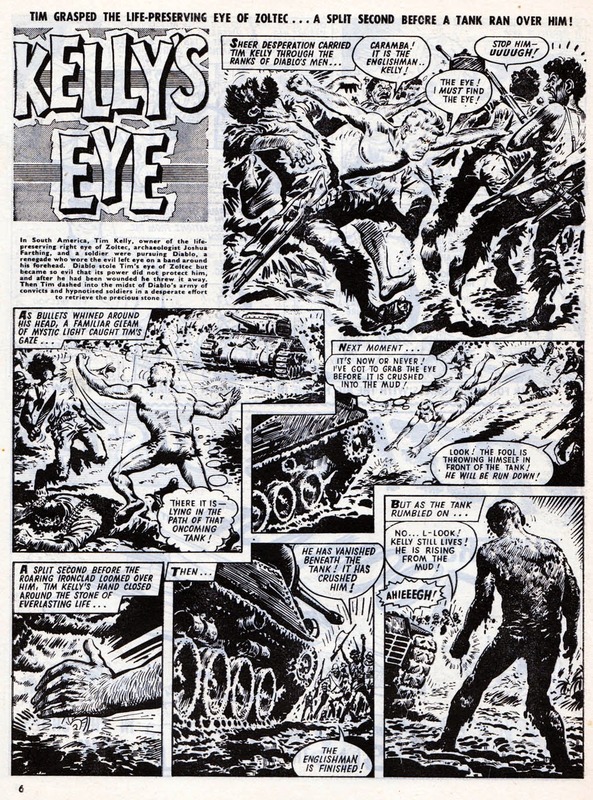 Inside, the dark, tense artwork of Solano Lopez with the latest Kelly's Eye chapter. 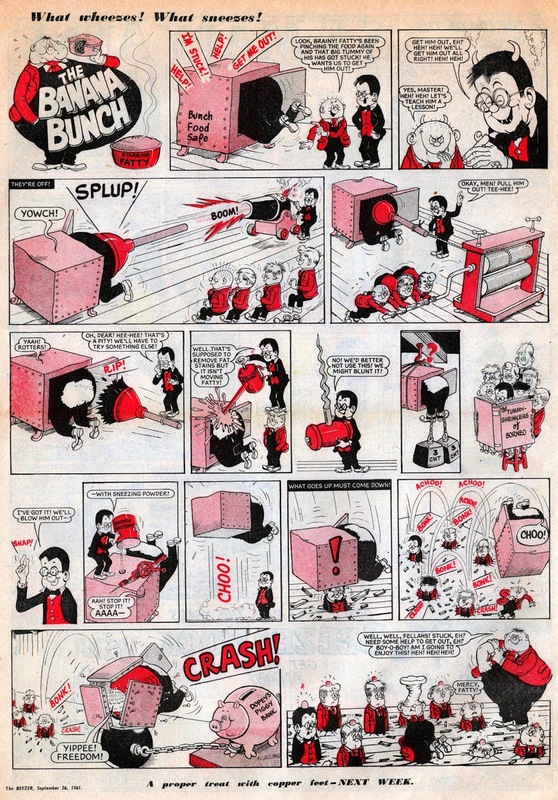 These old strips certainly knew how to deliver a great cliffhanger! 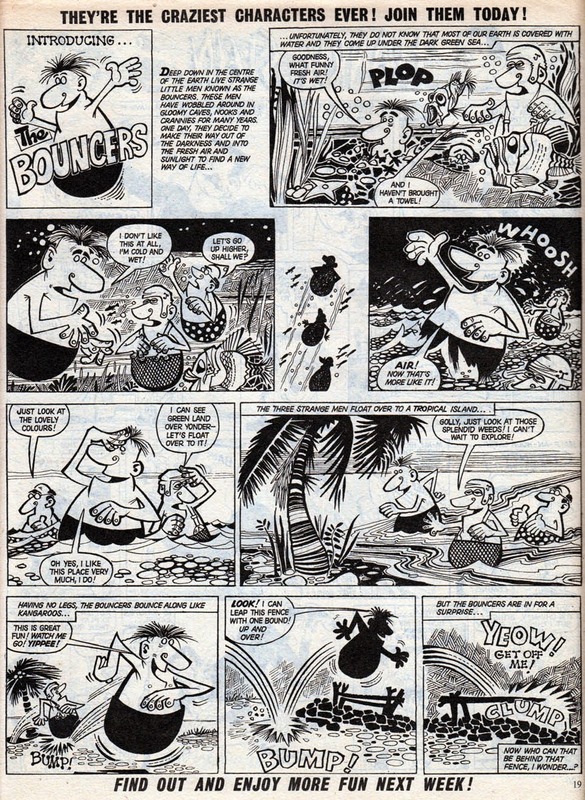 ...whilst The Bouncers by Peter Maddocks was also reprinted from Swift. 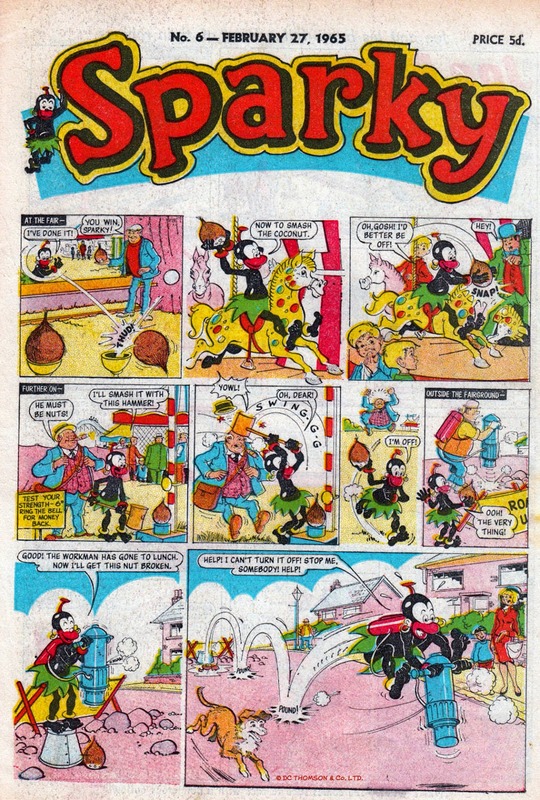 Sparky was also on issue No.6 that week. 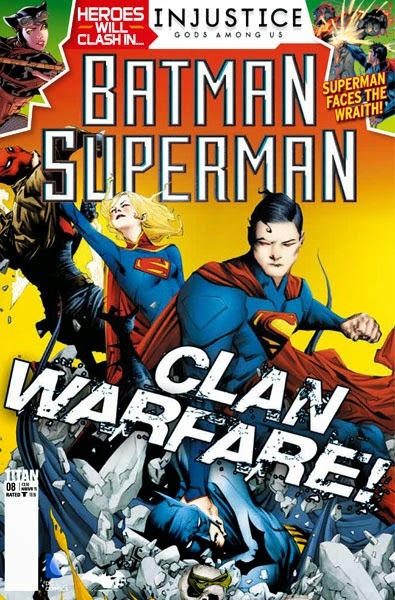 Cover by Ron Spencer. 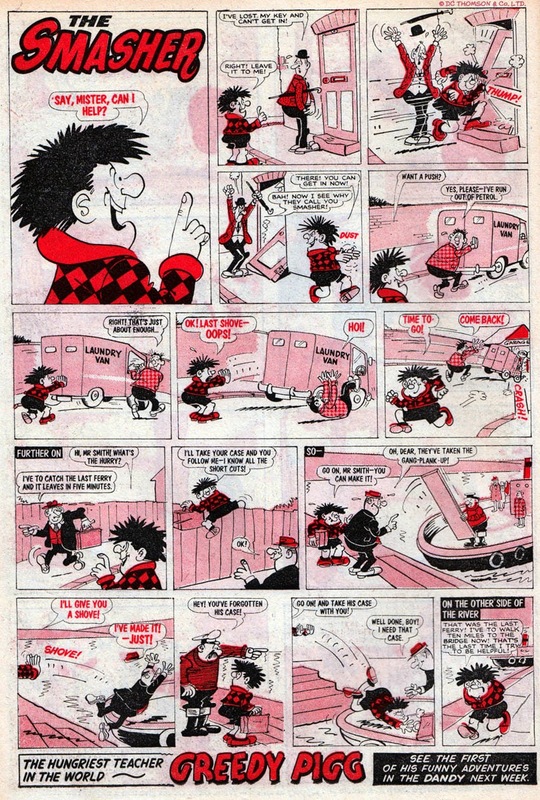 My apologies if anyone is offended by the strip. Presented as it was in different times. Thankfully things have moved on since. 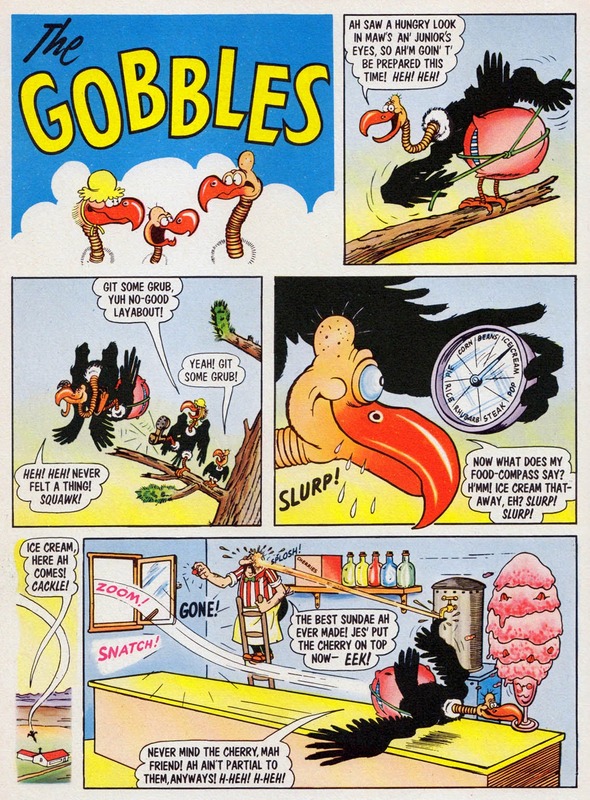 The centre pages featured another adventure with Dreamy Dave and Dozy Dora with artwork by George Ramsbottom. 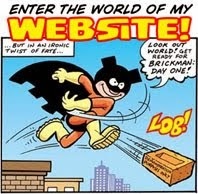 (Thanks to Ray Moore for that info.) 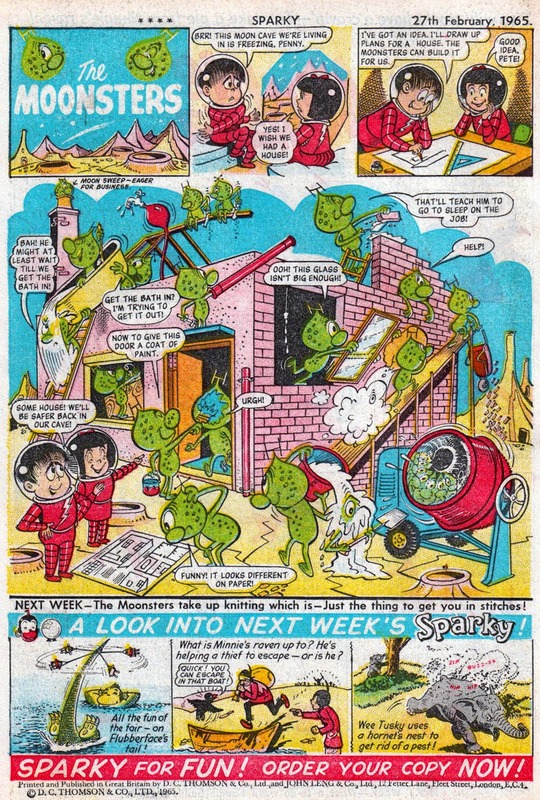 One of the weirdest things about this strip was that every week the sleepy siblings shared the same dream! 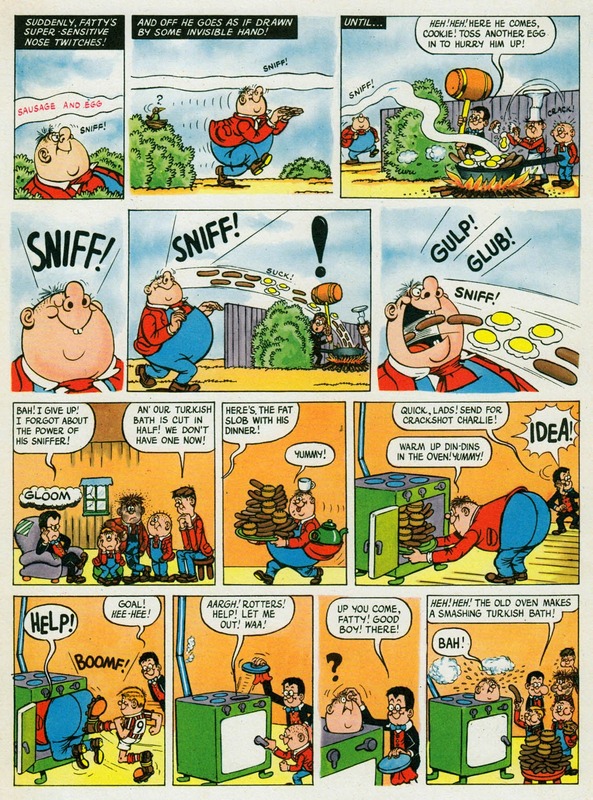 Just a few examples of the wide variety of strips from the many British comics that were available 50 years ago. It was a great time to be a child! DUCKLESS is coming to Aces Weekly! A good week to buy ACES WEEKLY! 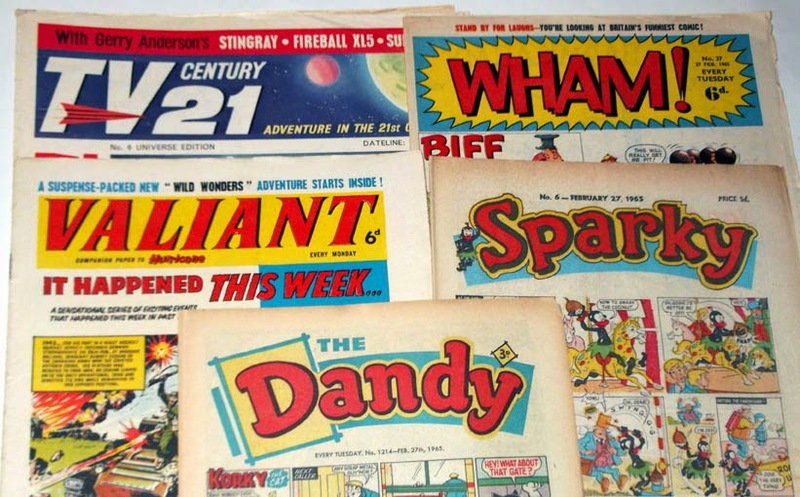 A new Golden Age for UK comics fandom? The new Tracy Island is looking F.A.B. It's time for the latest Doctor Who Magazine!